Looking for something exciting to do with your spare time? You can help edit the WCPedia! We opened a basic Wikipedia-style webpage last month during our birthday celebration and work is now being done to fill it out with the kind of information you'd expect in a Wing Commander Encyclopedia. We've just begun a project to go through the Wing Commander canon step-by-step - starting with Claw Marks and ending with Arena. 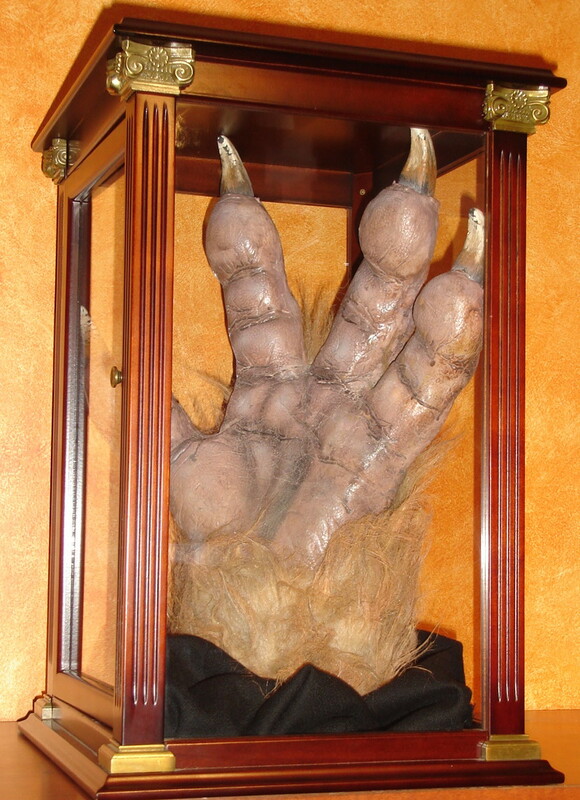 Claw Marks is under the microscope right now, which means entries from Aaron Allston to Zig-Zag have been added! The work can be tedious, but the payoff will be excellent - join the fight today! Another concept explored by the Wing Commander Arena team was the ability to customize your fighter's paint scheme - or at least choose from any number of options. 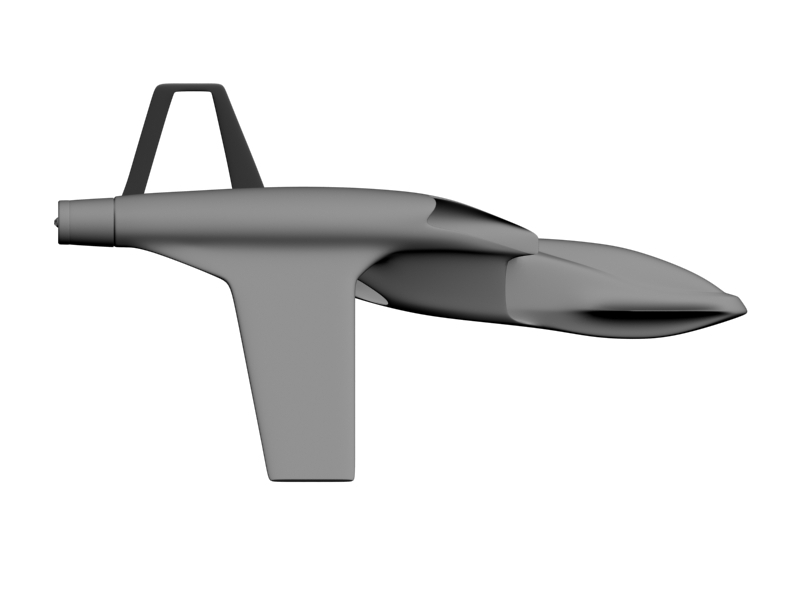 Today's image shows that concept applied to the F-27 Arrow V... in regular, green and stealth - just like Wing Commander IV! Next up is issue 4 of Point of Origin, Origin Systems' internal newsletter ("An ORIGIN tradition since last June"). 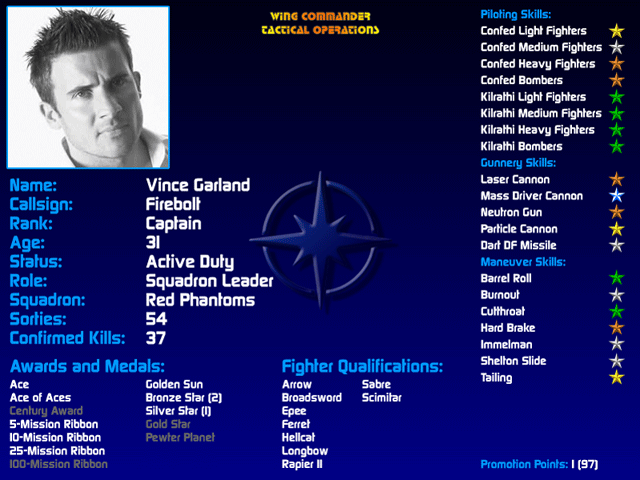 It's October 11th, 1991 and Wing Commander II has finally been released! The issue is short (only two pages), but packed with information on the aftermath of the WC2 launch (and a big article on a football game between the Ultima VII and Strike Commander teams). Bulldog Bytes focuses on sales of the new game: "Marten and Karl have been working software dealers into a lather while Wing 2 keeps flying off the shelves. At Software, Etc. it's #1 and #2 respectively in the 3.5 and 5.25 versions. If that don't beat all, its Speech Pack cousin is at #3. Go figure. Everybody in Sales sends a huge 'thanks' to the Product Development folks for an A-1 product. Meanwhile, across the waters, Wing2's holding the top spot on the Gallup PC Chart (equivalent to Billboard in the UK). Incredible performance! Mindscape's barely keeping up with demand for the product and Speech Pak. One distributor says Wing 2 sold more units in one month tna F19 ddid in two years. Our French distributor faxed a message to us: 'A hurricane has come over our dealers and retailers.' Bien joue! For those of you who didn't take three years of high school French, that's 'well done!' It's safe to say the world awaits the next rollout." 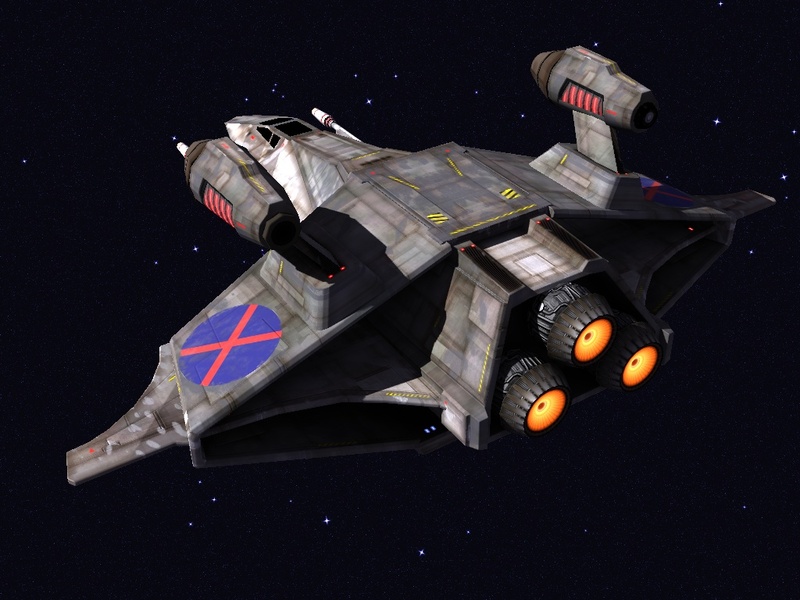 The Voice of Origin talks about Wing Commander II calls being recieved by the customer service and sales departments: "Obviously, though, the lion's share of questions are about Wing 2... WC2's spinning off more than Kilrathi fighters. Kathy's holding down the fort in Consumer Sales, taking about 30 orders a day for the Speech Pack and at least 20 orders a day for the Special Operations and Strategy Guide." 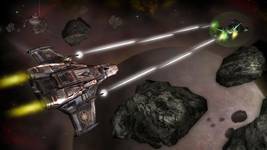 Champagne Tastes and Caviar Dreams updates us on Wing Commander in the press: "If you haven't seen the latest from Computer Gaming World, check it out. 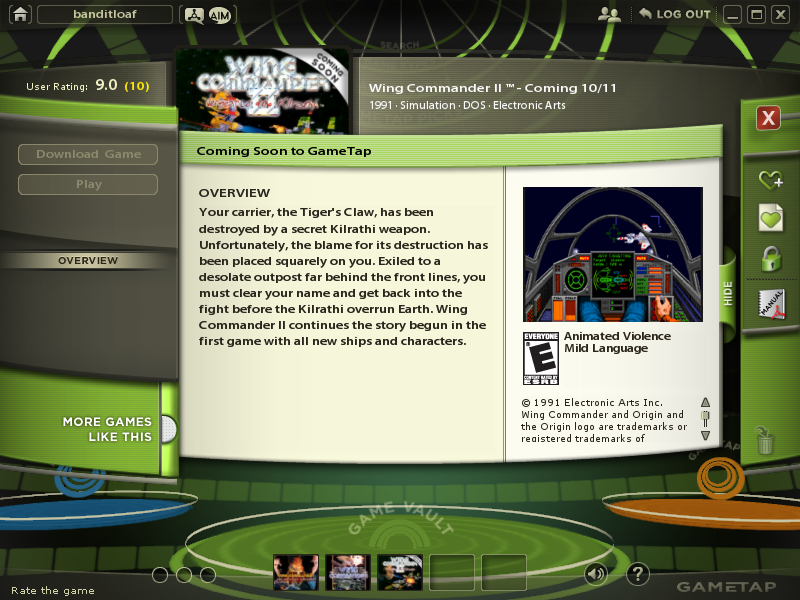 ORIGIN has a triple-whammy with Wing Commander at #1 and 'Game of the Year' while Wing 2 gets a boffo review." 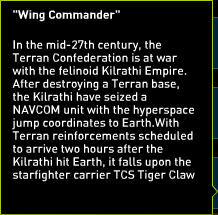 Your carrier, the Tiger's Claw, has been destroyed by a secret Kilrathi weapon. 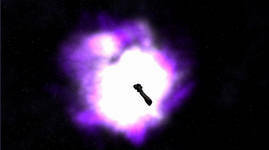 Unfortunately, the blame for its destruction has been placed squarely on you. Exiled to a desolate outpost far behind the front lines, you must clear your name and get back into the fight before the Kilrathi overrun Earth. 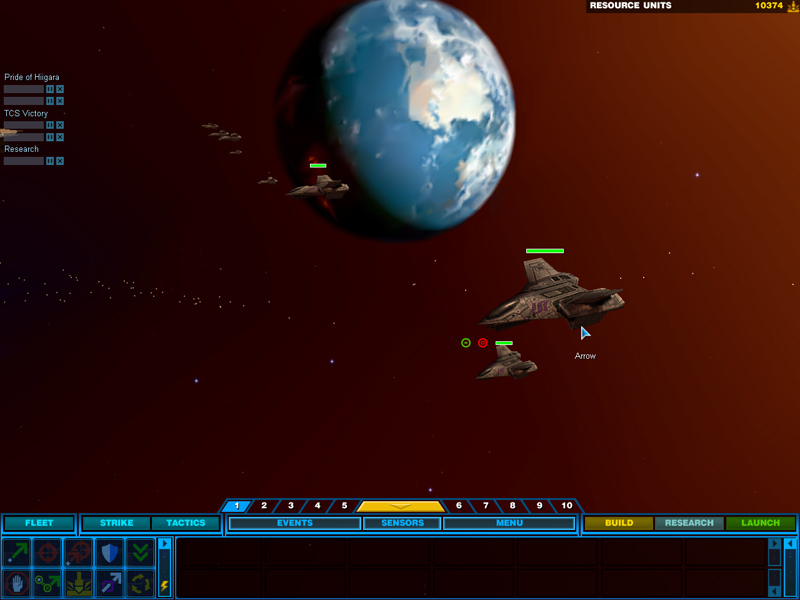 Wing Commander II continues the story begun in the first game with all new ships and characters. 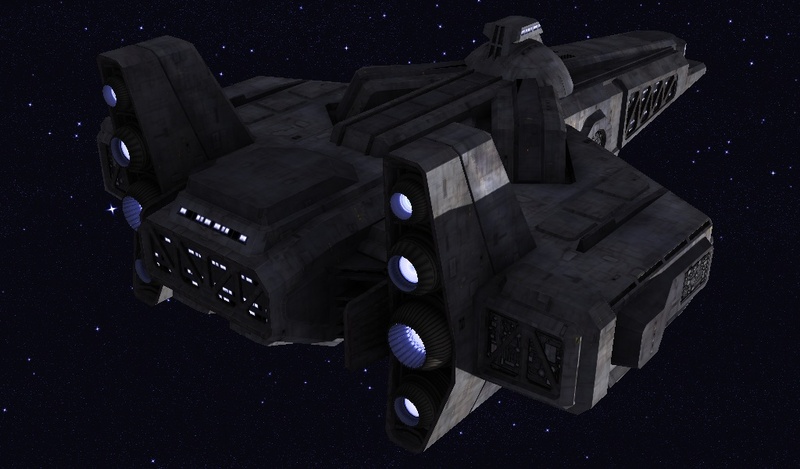 The initial concept for Wing Commander Arena had the designers creating an entirely new set of Wing Commander-style ships... and this was what they came up for the Kilrathi! It's sort of a cross between a Dralthi and a pulpy World War 2 jet airplane. Check out the Imperial logos on the twin tails! Well, things were looking real nervous there for a while, but we made it - Episode 4 is out at last. Episode 4 is definitely the biggest, most challenging - and by far the most troublesome - episode we've done so far. Hopefully you'll enjoy it. This release also adds scoreboard functionality to two more simulator missions - that's missions 9 and 10 - for the remaining six missions, stay tuned for Episode 5. As always, we've released the current episode in two versions. If you've already got Episodes 1-3, you'll want to download the Episode 4 package, which takes up 82 MB. And if you've missed out on any of the previous episodes, you should download the Episodes 1-4 package. Naturally, the latter package is just a tad bigger, weighing in at 270 MB. Download it HERE (81 mb)! For Standoff neophytes, the pack containing all four episodes together is available here (264 mb). The expanded online scoreboard system will also be activated later today - don't fret, though: although scores made this morning will not be displayed for several hours, they will be recorded. Approximately one month ago, I was sitting in a meeting of upper level management discussing the status of projects currently in development. The primary product being discussed was Wing Commander II (WC2). For many reasons that I won't go into now, WC2 was inaccurately scheduled for shipment in June of this year. As early as April, the WC2 team began to feel the pressure, a nd the beginning sensations of failure and abuse associated with missing our schedule. Because of this schedule, major pressure was applied to the team in early May. During every single week of May and June, we had to continually deal with our awareness, and the awareness of others, that we were failing at getting our product out as scheduled. And we have had to continue to deal with this awareness during the entire month of July. And now it's dragging into August! But as I was saying, I was sitting in this meeting with a large group of people staring at me silently because I had just informed them, again, that WC2 was going to miss yet another schedule. I felt about as good as a worm in an antbed. I was consumed with all the exhausting, depressing feelings of failure I outlined above. But, as I sat there, something within me shifted focus. A strange, objective awareness of what I was feeling came over me. I became consciously aware of my feelings of failure, AND WHAT WAS CAUSING IT! I asked myself, "Am I, and my entire PD group a failure? Have we EVER done anything GOOD? Have we ever accomplished ANYTHING?" That started me thinking about what could possibly be viewed as GOOD concerning the efforts of Origin's PD group. After only a few minutes of thinking, my feelings of failure begin to melt away like ice in the summer heat, and left in their stead a feeling of SUCCESS, of ACHIEVEMENT, of extreme PRIDE, for the truly MIRACULOUS achievements of what I KNOW is the DAMNED BEST PRODUCT DEVELOPMENT GROUP EVER ASSEMBLED IN THE HISTORY OF THE INDUSTRY! 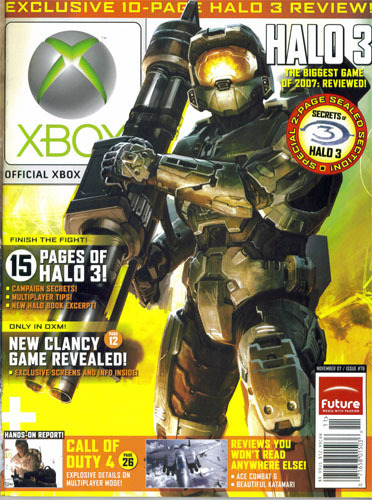 ...Additionally that year, we shipped Bad Blood, Wing Commander, and Savage Empire. In addition to all these games being 4 to 6 times the size of any game we had ever done before, in addition to this being the first time we had ever done initial development on the MS-DOS platform, in addition to these projects doubling the number of personnel required to manage/coordinate, THESE PROJECTS WERE DONE IN 12 CALENDAR MONTHS, OR LESS, AS COMPARED TO THE 20 TO 30 MONTH TIME FRAME THAT PREVIOUS PROJECTS WERE DEVELOPED IN! And one of those products, Wing Commander, SET NEW INDUSTRY STANDARDS FOR ACTION/COMBAT SIMULATORS! ...This year, we will have produced another 4 major M S-DOS products. Those products are Martian Dreams, Wing Commander II, Ultima VII, and Strike Commander. ... Wing Commander II is 15 MEGABYTES IN SIZE. It ships on 8 high density disks. 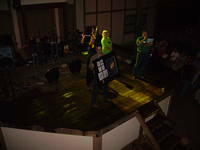 It required a f ull staff of 1 project manager, 1 director, 3 writers, 6 programmers, 4 artists, 1 TDA, and various members of our sound department. The project also included, f or the very first time in any product in the history of our industry, an additional 5 megabytes of voice actor digitized speech! AND THE ENTIRE PROJECT WILL HAVE BEEN DEVELOPED IN 8 CALENDAR MONTHS!!! ... Additionally, we are currently gearing up to develop both the English and Japanese versions of Ultima VII, Savage Empire, and Martian Dreams for the Super Nintendo, a sequel to Ultima Gameboy, and Wing Commander I, Secret Missions 1, Secret Missions 2, Wing Commander II, Special Operations 1, and Special Operations 2 for the FMTowns CD computer with digitized speech. ADDITIONALLY, we are going to be developing the French and German translations of Wing Commander II, Ultima VII and Strike Commander. These new projects will require approximately 15 new PD personnel. A side note: the three FM Towns ports were developed but they do not feature any additional digitized speech (Ultima VI FM Towns is famous for adding full speech to the game). Marketing reports on an award for the original Wing Commander: "CONGRATULATIONS to the Wing Commander team and Martian Dreams team! 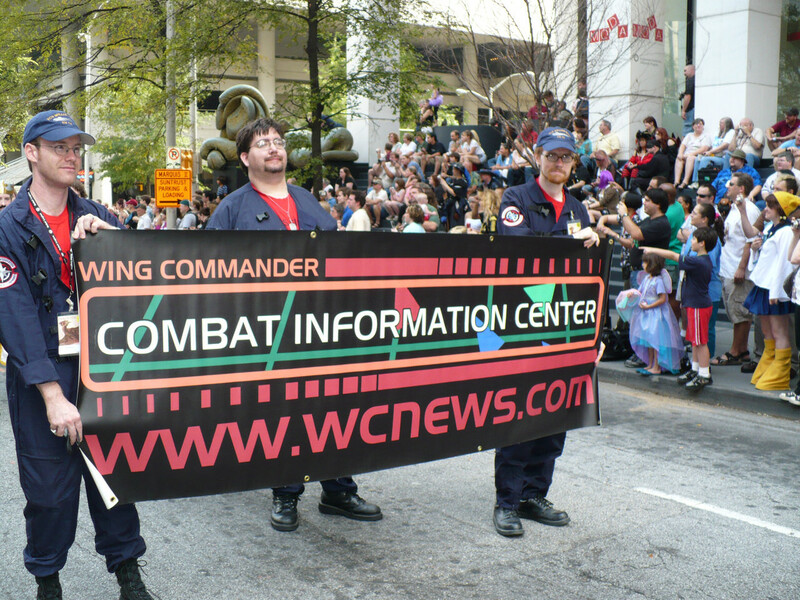 Wing Commander won the award for the Best Fantasy or Science Fiction Computer Game of 1990 at the Origins National Gaming Convention and Exposition." 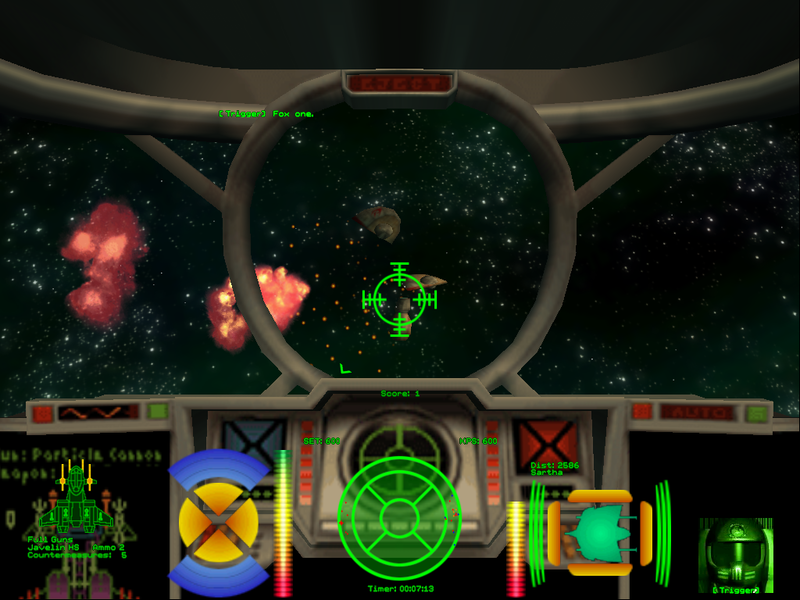 Product Development updates on the status of Wing Commander II: "An update on WCII software completion: right now, it looks like a late-August release is the best we'll achieve, unfortunately. The entire team continues to scramble madly to wrap-up the project and QA has its hands full with loads of cleanup work on bugs they are trying to resolve with the programming staff. The product looks absolutely sensational... it's turned out to be even BIGGER and DEEPER than anyone expected, which is why it's tracking several weeks behind schedule right now. Completion is critical... not only because we have an unprecedented backlog of buyer demand stacking up at retail stores around the world, and a first-day rollout rapidly approaching 50,000 units... but also because we are racing to beat our flight simulator Fall competition to be the first on the shelves! Also expected to release in the next few weeks: 'Secrets Of The Luftwaffe' from Lucasfilm, 'Falcon 3.0' from Spectrum Holobyte, and 'F-117A Stealth Fighter' the F-19 sequel from Microprose. He who gets there first 'wins' for the largest and fastest early sell through at retail, a momentum-building that is hard to replicate. So, if you see any members of the Wing II team crawling bleary-eyed around the offices, give 'em a few words of encouragement and support (and THANKS!) for the effort they are making to get WCII launched onto the charts in the No. 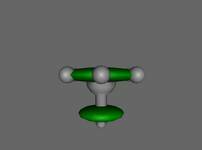 1 position." 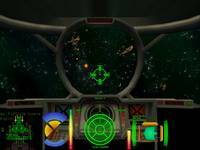 Thank you for sending us Wing Commander II beta version. STOP PRESS: The Wing Commander II expanded demo came in and went straight out as the star performer on the Origin Roadshow - a three day trek around the country visiting all of our key account distributors and some key retail outlets. We took a suitably equipped PC installed with WCII and the other current Origin titles - everyone who has seen it in action is totally amazed and very impressed by what they have seen. This looks like good news for the sales figures... as I'm sure MArten will be delighted to hear! So once again, well done to all involved. I think this is going to be a wonderful summer! Finally, the issue reprints the September 119 Computer Gaming World's Top Ten Rated Computer Games list: "... Wing Commander continues to soar as the #1 rated Action game." (and the number one game overall). Entertainment - Cookin' Up Lunch, Picnics, and Parties! 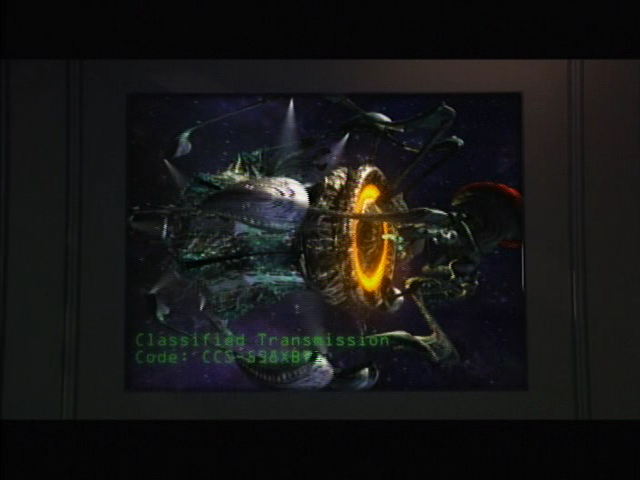 While we were visiting Gaia Industries in New York last month we were treated to an amazing slide show of concept art from Wing Commander Arena - everything from Wing Commander characters to familiar (and new!) 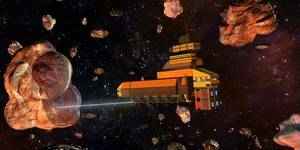 ships to space stations. We were so impressed with this cache of previously unseen 'behind the screens' work that we insisted it had to be preserved for the future. Luckily EA Producer Sean Penney agreed and granted permission to release some of this spectacular art! Special thanks to Taino at Gaia, too, for providing it (and, of course, for creating it in the first place). First up is a beautiful splash screen showing a Rapier II in hot pursuit of an Arrow set against an asteroid field. I'm surprised that this didn't make it i nto the finished game as one of the loading screens somewhere - it's at least as beautiful as the Arrows on a flight deck. It's just a stunning piece of artwork - and it makes a great widescreen Windows background! 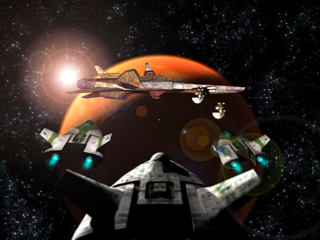 Keep watching the news over the next few weeks - future Art of Wing Commander Arena posts will be interspersed with Point of Origin updates... along with a third 'Wing Commander History' series which will be revealed soon! If you would like to thank the guys at Gaia for making the effort get us this art then you should pick up Street Trace NYC on XBLA... it's a fast-paced racing/combat game - some of the guys from #WingNut put it through its paces last weekend and it's a lot of fun! There are plenty of game modes, beautiful graphics similar to those in Arena and a neat future setting that you can lose yourself in. I'll Street Trace with a WingNut any time! 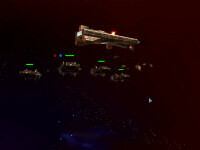 Howard Day has posted a status update and three new ship images from the WC Pioneer fan game. The ship is the 'Phalanx', an original ship created for the project. Looks nice - I like the external missiles! These Phalanx shots show how the model has changed with the addition of a visible cockpit... you can find an earlier rendering here. We're back with the second archived issue of Point of Origin, Origin Systems' in-house newsletter. This one focuses on the 1991 Summer CES show where Ultima VII and Strike Commander were shown... but it also touches on Wing Commander licensing and the technical and promotional issues leading up to the Wing Commander II launch. 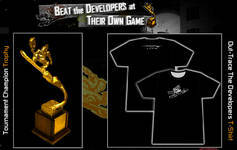 "From the Field" details in-store game demos being held around Austin. Just living near Origin must have been great: "Store shoppers were able to take a good look at Martian Dreams,as well as get a sneak preview of Wing Commander II, Ultima VII and even Strike Commander. 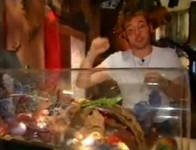 The universal reaction seemed to be: 'I want them all... NOW!!!'... 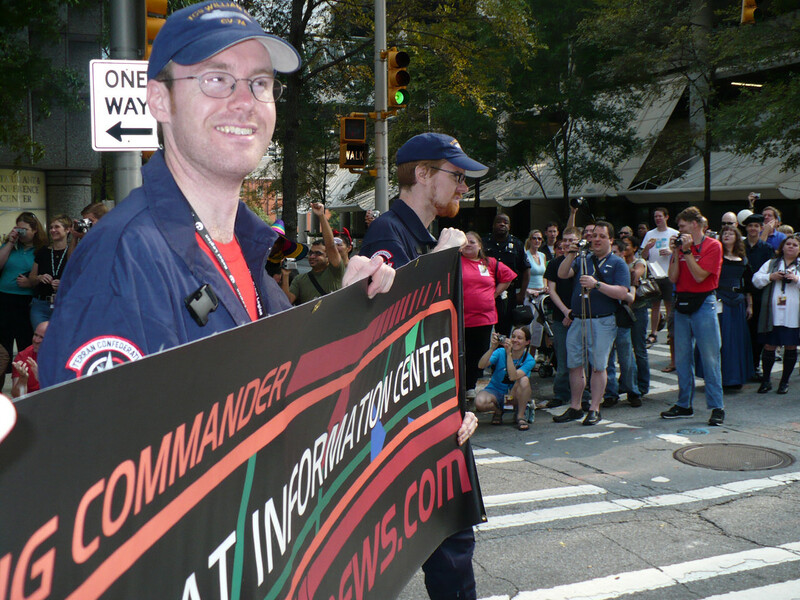 If you happen to be in the neighborhood, throw on your Wing Commander hat and Origin jacket, and join the fun!" The "Feature Story" details the CES show in Chicago. It focuses primarily on Ultima VII and Strike Commander, but also announces a deal to have Mindscape develop Wing Commander for the SNES: "Origin has licensed Mindscape to do the conversion and publishing of Wing Commander for the Super NES." From the Pipeline deals with two Wing Commander developments - the announcement of a three-game deal to port Wing Commander games to the FM Towns: "As mentioned in the CES report, new proects to be taken on at Origin include Ultima 7, Martian Dreams and Savage Empire for the 16-Bit Super NES, a sequel to Runes of Virtue (Ultima for GameBoy), and two three-part releases of Wing Commander, Secret Missions 1 & 2 and Wing Commander II and the two assosciated 'Secret Missions' disks for the FM-Towns on CD." 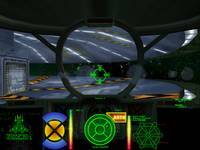 and a several week delay for Wing Commander II: "Wing Commander II is being held for release an additional 2-3 weeks to rework some of the game design based upon product testing. This is the first Origin product to undergo such changes based on the advice of our QA department." It would be interesting to know what was changed about the game! Finally, the SPA Top 25 Hits List MS-DOS Games April 1991 sales chart includes rankings for three WC titles: Wing Commander (This Month 4, Last Month 4), WC Secret Missions 2/Crusade (This Month 6, Last Month 16) and WC Secret Missions 1 (This Month 11, Last Month *). As part of our focus on Wing Commander and Origin history we're proud to begin a new series of regular updates reprinting 'Point of Origin'. Point of Origin was the internal newsletter of Origin Systems, Inc. from 1991 to 1998; it covered everything from the everyday working of the company to industry news to reports on the latest games in development at Origin! We'll provide each issue in PDF format along with points that may be of interest to Wing Commander historians - along with an index of articles for future reference. "At Your Service" (1) talks about the status of the CS department, which at this point in time solved users' technical problems via snail mail! It reports good news about sales of Wing Commander addons: "Wing Commander Secret Missions 1 & 2 are the strongest direct sellers." "Random Bits" (1-2) reprints a collection of crazy rumors overheard at Origin. Two of them involve Wing Commander: "Supposedly, there is a hidden command in Wing Commander that allows you to give the 'Thum's Up!' after a kill (or 'Shoot the Bird' at a fleeting foe!)" and "Origin has secretly invested $1,000,000 on the establishment of a motion picture facility in Houston, where Wing Commander: The Motion Picture will be filmed. Talks are underway with Charlie Sheen to play the role of Lt. Arturo Blair (a.k.a. OurHero Bluehair)." 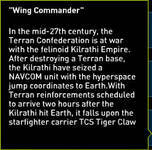 The second is especially interesting as it is now the earliest recorded use of 'Blair' as the last name for Wing Commander I's main character. "From the Field" (2) announces recent licensing and publication deals, including an agreement with Mericel that means a wider distribution for Wing Commander: "Soon, you can look for the Wing Commander series in SAM's stores across the nation." "In the Pipeline" (2-3) includes several interesting Wing Commander mentions. 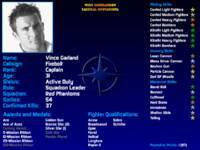 It reports on the status of WC2: Wing Commander II is still on track for release this summer., announces the project which would eventually become The Ultimate Strategy Guide: "1) A complete guide to Wing Commander, covering WC1, SM1, SM2, and WC2. Included will be hints, tips, clues and lots of 'making of' background info on the team and process. Mike Harrison (who has worked with Origin in the past on contract marketing projects) is the writer and will be visiting Austin soon to pull the pieces together." and discusses localization: "Origin will soon undertake French and German translations of Wing Commander I, both Secret Missions, Wing Commander II, and Martian Dreams for the European market." 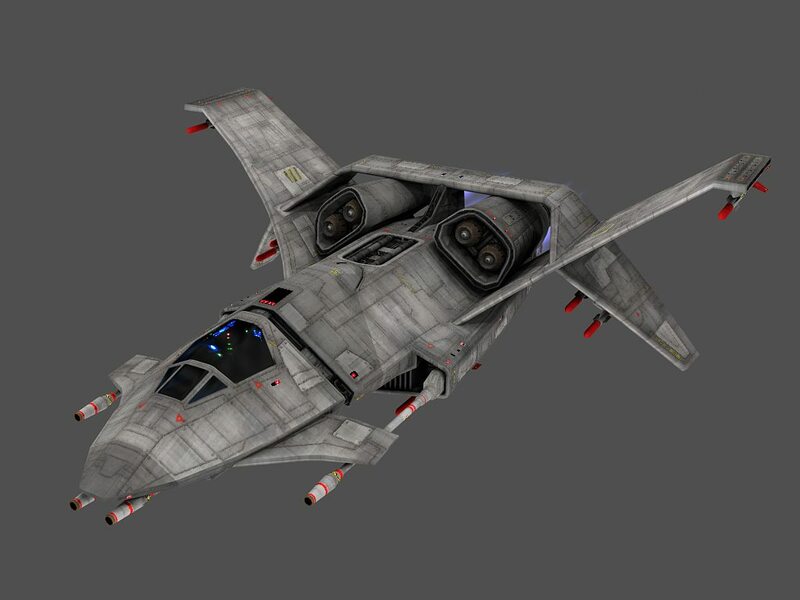 Most interestingly it reports on two licensing deals to bring the series to the Genesis and Super Nintendo (then called the Nintendo SFX): "Wing Commander for the Genesis, licensed directly to SEGA, is under development out of house. No details yet as to a projected release date. 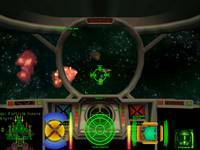 A deal is also expected to be announced soon for Wing Commander on the new 16-bit Nintendo SFX game console launching this Christmas." 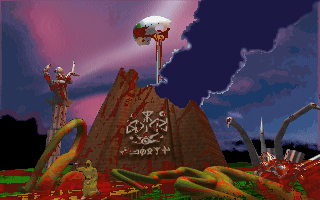 Mindscape would eventually port Wing Commander for the SNES, but no Genesis game was ever released. "The Market Place" (3) announces the lineup for the upcoming CES show: "The titles to be shown include Ultima VII: The Black Gate, Strike Commander, Wing Commander II and Martian Dreams." You can find instructions and a patch for incorporating these videos into Prophecy here. Even if you don't feel like doing that you can watch the videos on their own - they're ordinary VOB files which can be played in Windows. You aren't done yet, though - you'll need a DVD case and label for your new game. Luckily Shades has put together Prophecy DVD artwork. Download and then print it here. There's just three more days until the expected release of Standoff Episode 4. In order to get your system set up and some practice time in, there's a few things you can do right now. Install the Secret Ops Starter Pack (112 megs) first. Secret Ops doesn't have to be registered to play Standoff (just installed), but you can generate a reg code here. Install Standoff Episodes 1, 2 & 3 (194 megs). This package includes all aspects of the game prior to the upcoming Episode 4. Get recognized on the Simulator Scoreboard. The first three chapters are a complete experience by themselves, but players can also get their simulator scores posted to compete against fellow Wingnuts online. Check out the instructions here on how to get set up for online scoring. In addition to a Crius.net account, players will need to advance into Episode 2 to unlock the simulator. Our long-running Birthday poll has produced some pretty evenly divided results. 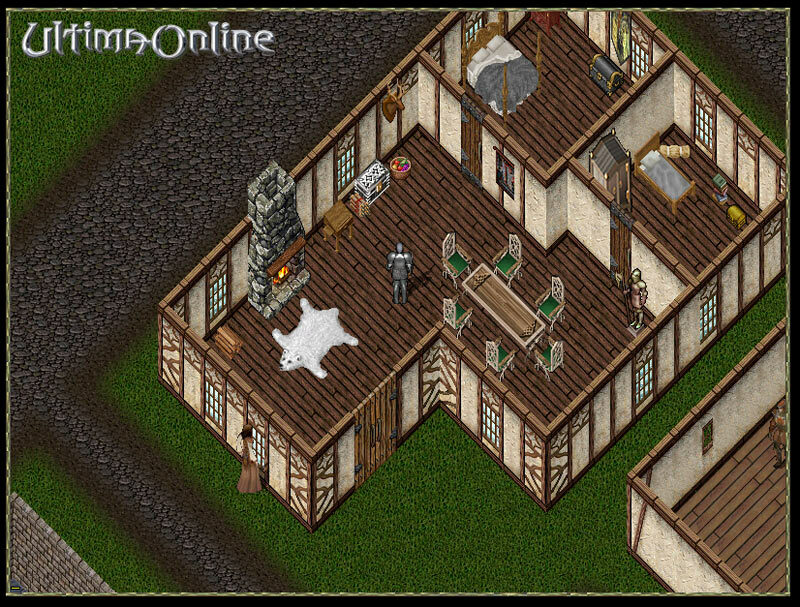 While there's been a surge in new members this year due to things like EA Replay, WC Arena, Wing One and the GameTap releases, quite a few of our readers have been visiting since the mid '90s. Predictably, growth was the least during the slow periods in 2001, and this shows that most voters actually put some thought into figuring out how long they've been coming. The next poll asks which game you'd like to see released on the GameTap service next. Privateer was the first to be announced, but no date has been set yet. 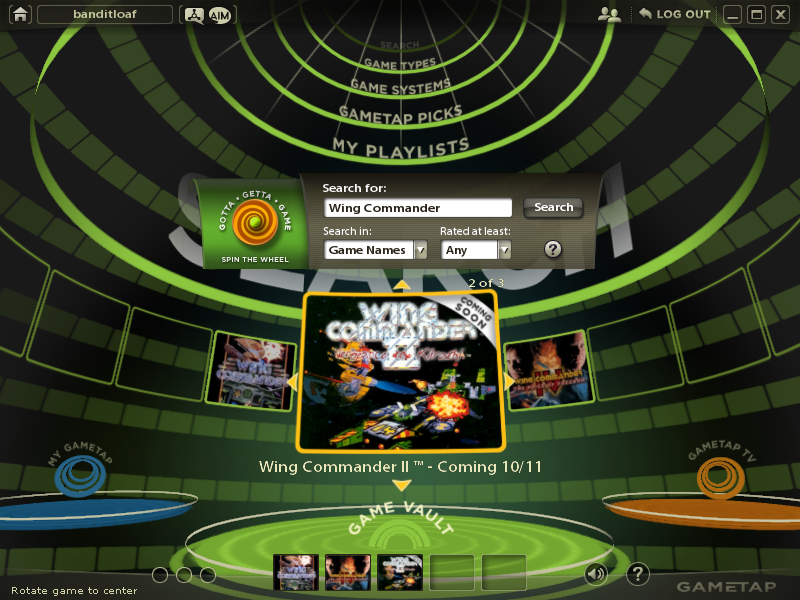 Who would have thought Wing Commander 4 would be playable in a downloadable form like this? 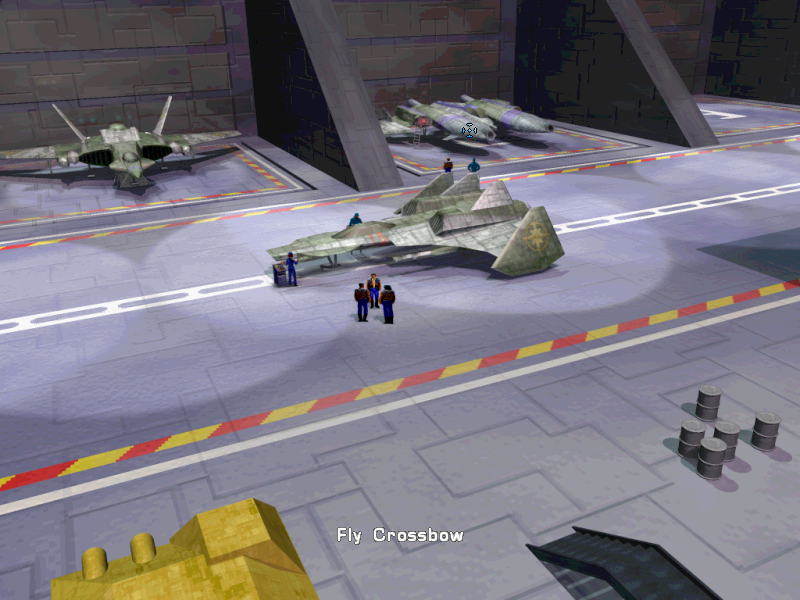 If that one made it, any Wing Commander game is possible. And as great as it is to have Wing Commander 1&2, someday we'd all like to see the Secret Missions and Special Operations as well. Which one is highest on your list? Holding The Line Chapter 219.. Again? You can forgive Raptor for slacking off a little what with so many great things happening in the past six months. However Raptor has had his own personal great thing happen to steal his attention away. I'll let him explain why and the reason for refreshing your memories with this previously posted chapter. I'm sure you noticed the distinct lack of HTL chapters in the last few months. I'm afraid that the fault is entirely mine. For a change though, it's not the grind of work and study that's been keeping me away from HTL. I met a nice young lady earlier this year, and we just got engaged. :-D As you might imagine, I've been spending most of my spare time with her, and getting to know her family. 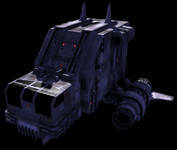 I certainly don't want to let HTL slide though, and I'll do my best to keep with my duties as co-ordinator. The last story we posted was part one of Welcome To Hell 6. I was originally intending to send you part two now, but I don't think it's fair to the writer to split a two parter by three months. What I'll do instead is post part one here again now, and send you the second part out in a week's time. After our last chapter looking at a possible future for the Kilrathi, we're returning to the battle against the Nephilim in the present. 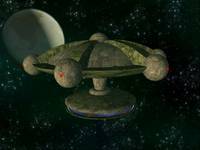 In this chapter, we're following the Confed and Border Worlds reserve forces fighting the Alien forces pushing in from the Loki jump point. WTH 6 is a long story, and will interweave with the third Check And Mate chapter (which follows the fight against the Nephilim pushing from Ymir) as the HTL battle heads to a climax, As I said on the Aces board recently, the end is most verily nigh. ;-) This particular story is written by James Andrew "JAG" Greenhow. Please send any and all comments to him at rambo_123uk@hotmail.com, not to me. Remember Wing Commander 2 SNES, the most exciting lost Wing Commander project? Lead Designer Billy Cain (who went on to fill the same role on Wing Commander Prophecy) was kind enough to answer some questions about the game! Check out the interview below -- it really does sound like it was a very unique project rather than a simple port. If you're part of the SNES community then be sure to keep spreading the word - this game exists... somewhere! You can find our original WC2 SNES article here. Who are you and how did you become involved with Origin? What was your role with Wing Commander 2 SNES? Can you give us some background on Origin at the time of WC2 SNES? We were completing a series of game contracts for FCI Pony Canyon. WC2 SNES was the last of these. It was completed, but never shipped. Who else worked on the game? Axel Brown, Julian Alden-Salter (JAZ), Chris Primozich, and many other people, but we were also working on two other games at the same time so I am not 100% sure who did what on each game. I apologize for not being able to remember. 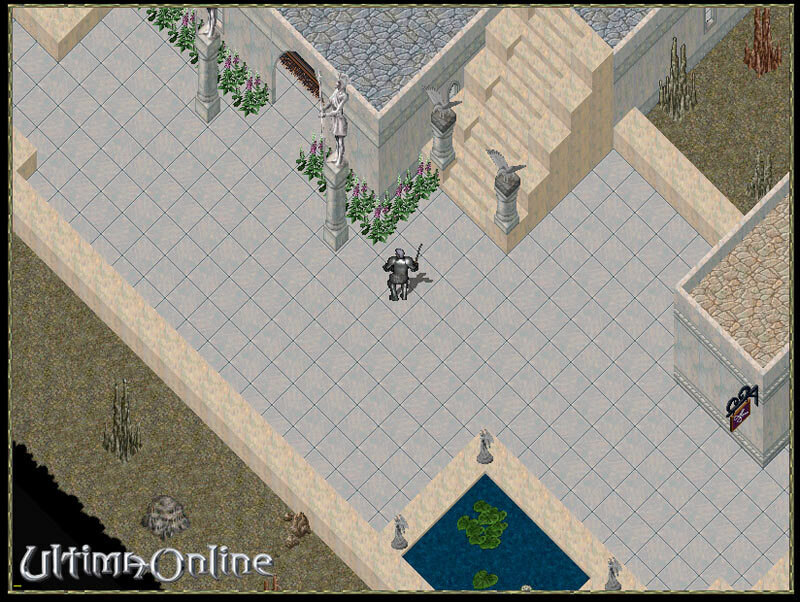 Do you remember how it differed from the original PC title? Gameplay was significantly different, but we spent a majority of our time ensuring that the movies were 100% accurate. Story was huge on that game and we wanted to give it the respect it deserved. Since there was no real 'backup' of the original art, we wound up getting art from the FM Townes version that was either still in production or just completed production. It was quite a feat finding everything!! Did you build off of WC SNES for the game, or did it have a new engine? We did everything from scratch. It would have been very nice to have had that other engine to start from. The magazine scans of WC2 SNES show some new artwork - different cockpits, full color Kilrathi VDUs. Who was responsible for that? 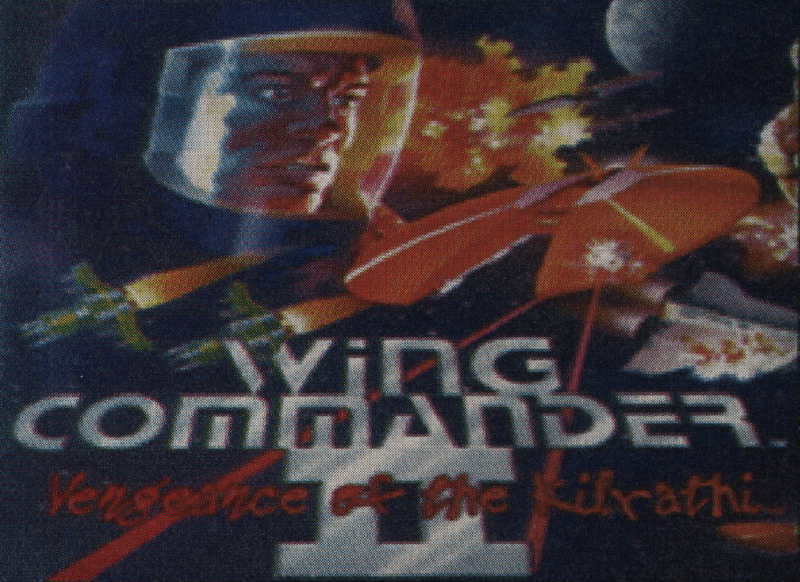 The original Wing Commander SNES ports were done by Mindscape. When did Origin switch to in-house SNES development? 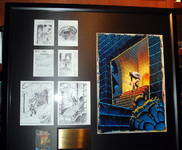 It was before I got there, but I worked on Ultima IV SNES, that was eventually renamed Ultima: Black Gate. I had a mint copy until I lent it to a friend that promised to keep it in mint condition. He finally gave it back to me after it rode in his backpack for about 6 months, when he told me that he never got around to playing it. These are the things that make me wish I never lent things out. 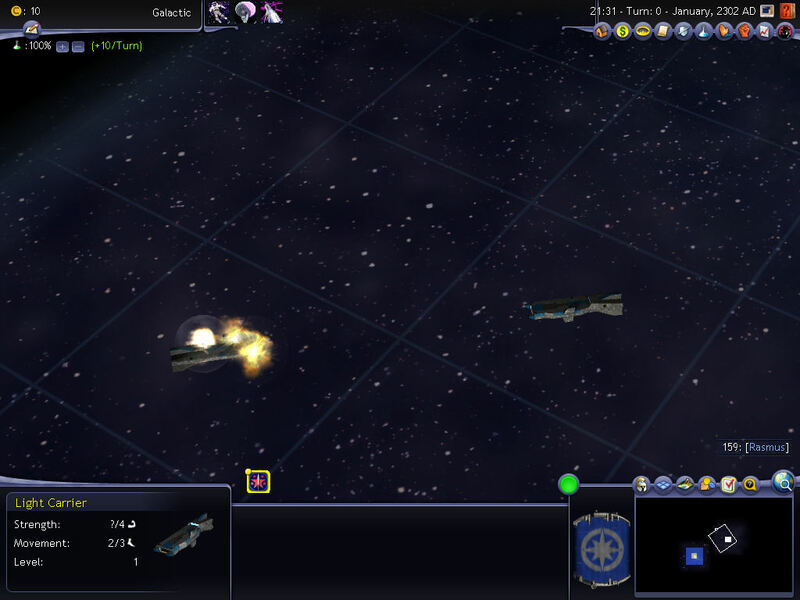 But back to the story... We then took the engine for U7 and did some quick conversion tools to create Savage Empire. I still don't have a copy of that. Then we did Metal Morph on a whim and FCI published it. I'm not particularly proud of that game, but it helped Origin make its quarter with EA, so there was "much rejoicing." After that, we started on Wing Commander II, but the SNES market was drying up. I think FCI made the right decision to not release it financially, but obviously it would be great to have it as part of the canon. Was WC2 SNES a fun game in its own right, or an attempt to simply reproduce the PC WC2 experience? It was a fun game in its own right, but the truth is that by the time we were in QA, I had been asked to help on Rugby World Cup '95 in EA's England office in Langley, so I was doing data files during the day in England (fixing bugs), they were being implemented at Origin during the day in Austin (my night), and I did not have a way to burn SNES EPROMs there. I could have done it if it was Sega... :) The person to ask if it was fun would be our intrepid tester Chris Primozich. He really did the hard work of getting through that game time and time again. The game was finished, shipped off... why didn't it come out? Financial risk in the market would be my only answer. 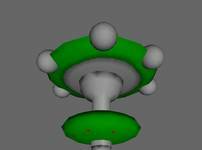 Do you have any idea where the prototype could be today? What was your favorite project at Origin? Wow. I don't think I can really say because there were so many. 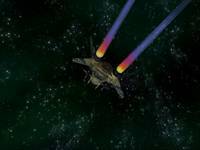 If I had to pick one, it would probably be Wing Commander: Prophecy because I was responsible for guiding the game's design and I'm an action fan. The QA group was obviously helping tell all of us in development whether we were making mistakes and I believe that we did a good job of listening to them. There were many games that I thought would 'make it' but they didn't ship. There were also games that I liked a lot, but they weren't exactly my favorites like WC. I try to use my experience in the industry to help other games better, either as a consultant or a supplier of talent (contracted), or as a complete game developer for all platforms. And I spend time with my friends, wife, and two kids! 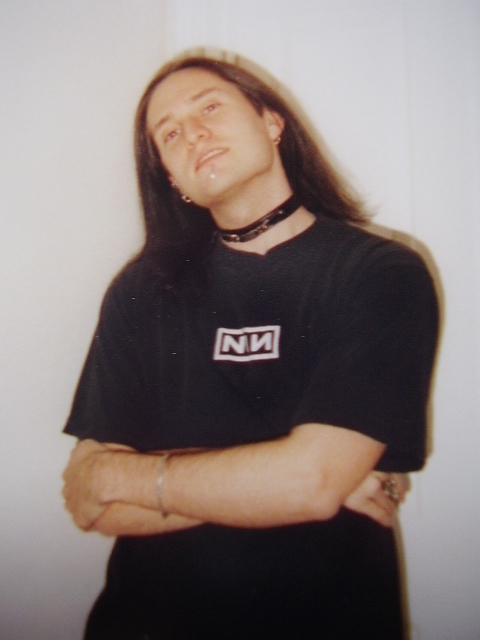 Veteran Origin composer Barry Leitch (RF, WC2 SNES, WC3) was kind enough to send us several MIDI tracks - including the three he wrote for Privateer: Righteous Fire. He composed the music for the introduction and the two tracks which play on the Retro planet, Gaea. The first, Temple, is my favorite - really beautiful work. Check them out! He also sent three MIDIs he wrote for Origin's Wings of Glory, the company's third RealSpace flight sim. As I've said before Wings of Glory is a personal favorite - one of the finest non-Wing Commander games I've ever played. Track down a copy and give it a shot! Things are getting really close to completion now - the missions are in the final stages of bugfixing, we're only missing two pieces of music... and still waiting for quite a few voiceovers (although they've just about all been recorded now). Still, we wouldn't be announcing a release date if we didn't think we could realistically keep it, right? 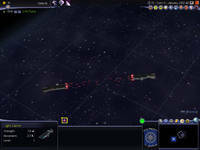 So, watch this space on September 26th - the Battle of Sirius is about to begin! 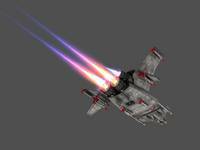 The good people at GameTap have published an article on upcoming games... and Wing Commander II: Vengeance of the Kilrathi is included! 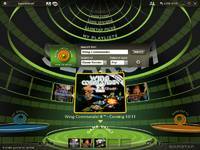 GameTap is a subscription service which gives access to an ever-increasing licensed collection of classic(and modern) video games. The titles are pre-tuned to work on modern systems, so there's no fooling with emulators or slowdown utilities. 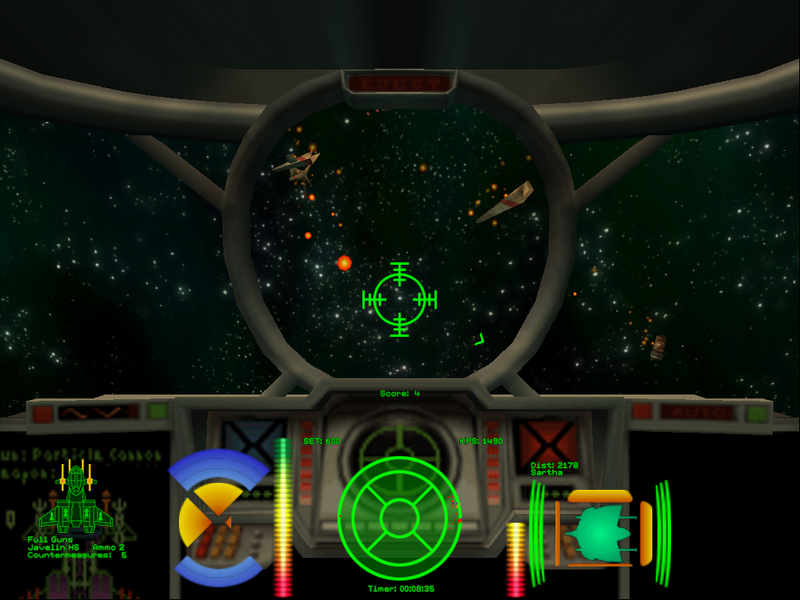 Wing Commander II is currently scheduled for an October 11th release - and we'll be counting the days. 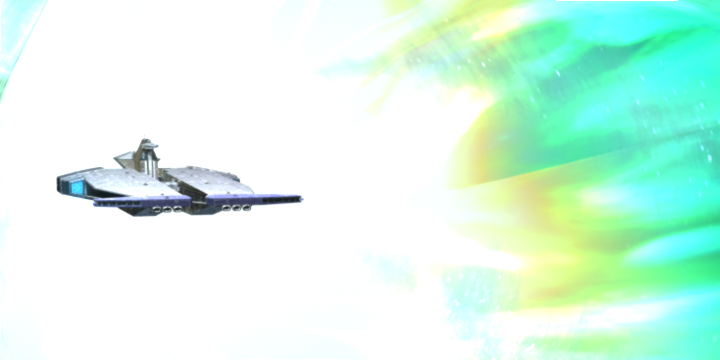 Wing Commander I and Wing Commander IV are already available through the service, and Privateer has been advertised as a future addition... so subscribe today! What a great year this has been for Wing Commander. I'm finally settled into my new job, so I've been coding away last week or so. We're working on a number of test cases to make sure the engine is solid, but we have also switched focus to gameplay for a while, so that we can finally start seeing some results. I could keep working on the engine, but it doesn't lead to playable results, which has been discouraging for us. 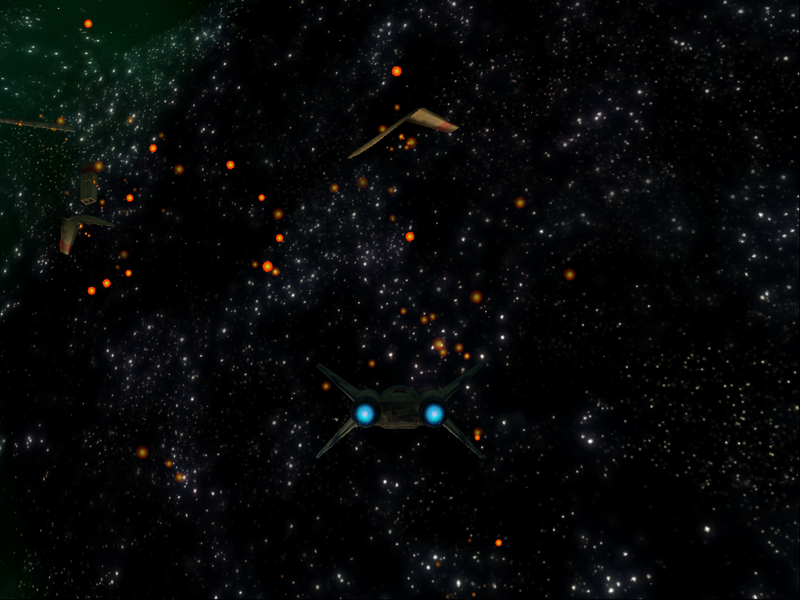 We hope to have a rough playable demo for ourselves in the next couple weeks. Once we have that, we can focus more on the graphical side of things. Someday, Alice, bang, zoom, straight to Low Earth Orbit. Wired is reporting that Origin founder Richard Garriott is finally headed to the International Space Station - possibly as a promotion for Tabula Rasa... which seems hard to swallow given the $30 million pricetag for space tourism flights - enough to produce Wing Commander IV nearly three times over. Nevertheless, Garriott has been interested in space tourism for years and was heavily involved in making the concept a reality at the turn of the century. His father, Owen Garriott, was one of NASA's Group 4 scientist-astronauts. Owen spent two months on Skylab in 1973 and then flew aboard Columbia on the first Spacelab mission in 1983. Confirmation of Richard Garriott's trip should come in the next month. Here's something cool: a five minute segment from the British television series GamesMaster about the making of Wing Commander IV. 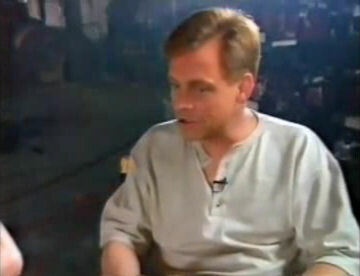 It includes an irreverent visit to the set and interviews with Mark Hamill and Tom Wilson! You also get a nice close look at some parts of the sets not seen in detail in the game... including the various extras in the cantina on Nephele. This segment originally aired November 30th, 1995. Thanks to Jetlag and AD for editing out the video for us! Download it here (22 MB, AVI). Fumle is hard at work on a Wing Commander mod for Civilization IV: Beyond the Sword (announcement)... and he's posted a neat image: a set of in-game commodities and games based on those which originally appeared in Wing Commander: Privateer. Can you name them all? The Wing Commander Saga mod has posted a news update to inform fans of their current progress - and it sounds like things are going well! 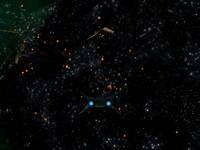 It sounds like they're in need of some extra voice actors, though - so if you've always wanted your voice preserved for all eternity in a FreeSpace 2 mod, sign up! First, mission progress: The missions for episodes 2 and 3 are now finished, with the missions for the 1st episode nearing completion. 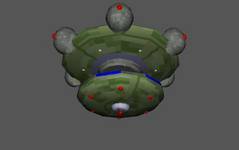 Second, new code features: New coding abilities that have been implimented into Saga include auto aiming, speed/distance multiplicator, better autopilot animations, and a better normal mapping code. These should lead to a more visually compelling final product, as well as a product that is even more in line with the original feel of Wing Commander. Our fiction viewer is coming along nicely. Our voice acting recording has started, although we are still looking for more actors. Don't be shy, send us an audition and help Saga get done faster! 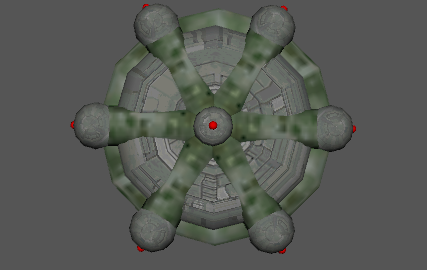 Also, more ships have made their way into the project. We'll say more about this in the near future. In summary, the work is progressing forward at a good pace. In the mean time, we strongly encourage you all to login to visit the forums, check out our website, and send us some voice auditions. 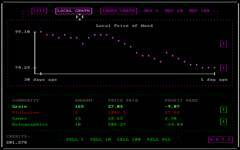 Version 0.1.1 of the Privateer Ascii Sector fan game is now available! 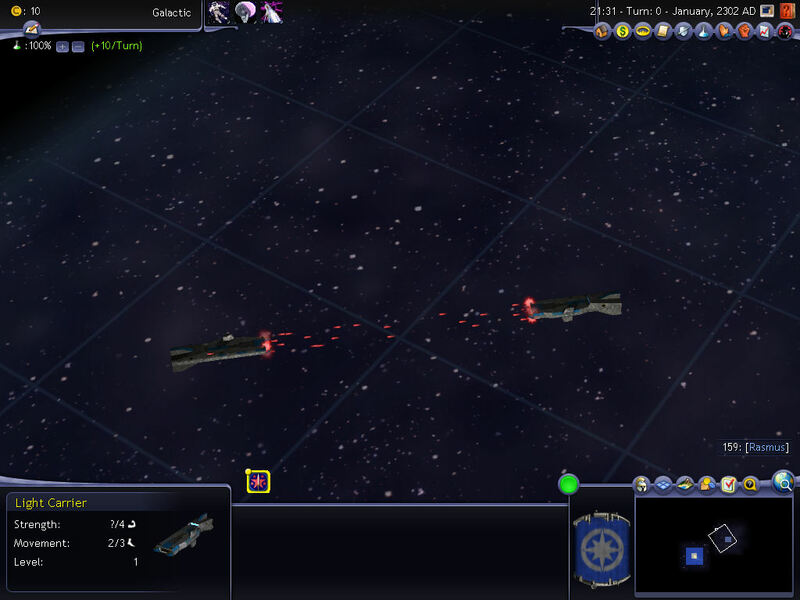 Ascii Sector is a text based game styled after the original Privateer, complete with space combat, ship upgrades and a freeform universe. I've given it a try and it's pretty unbelievable - I can't imagine how many hours went into this release! 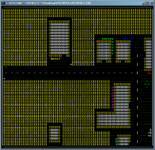 You can download the game (which clocks in at only 750 kb!) here. Victor Meinert: In terms of education and experience, I have an architecture degree and minored in fine art photography. I worked at EA / Origin for around seven years before starting up Destination Games in 2001 with Starr, Richard and the gang. 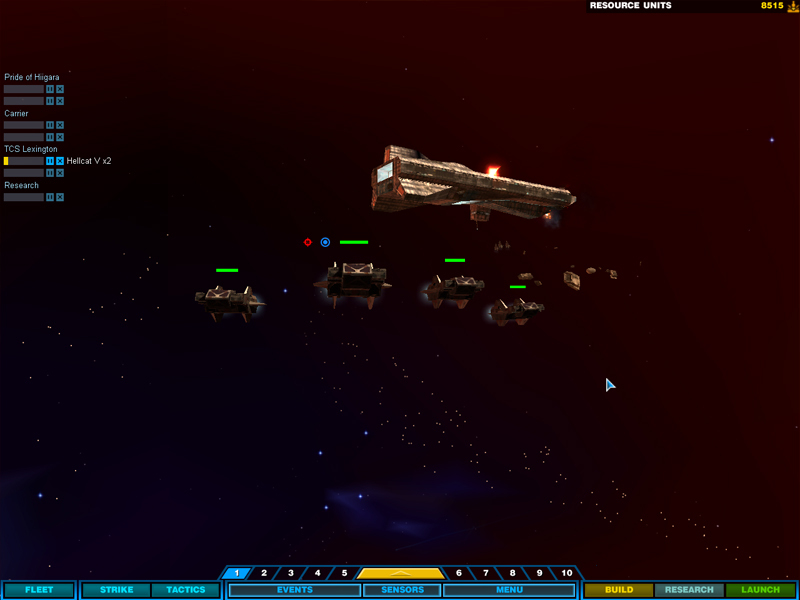 I've worked on some mighty fun games like Wing Commander, Ultima IX: Ascension, and Crusader. The entire article is available here. It also answers our biggest question about the game - what happened to the giant unicorns? "...we realized that the game wasn't fun, and that the content wasn't aspirational." 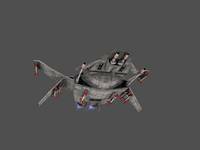 The Wing Commander Saga FreeSpace 2 mod team has released a set of unused 3D models for general FreeSpace 2 consumption. 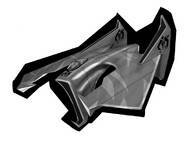 The set includes the Avenger, Banshee, Vindicator, Durango, Bearcat, Lance and a prototype of the Stormfire gun. The files are four years old, so some tinkering may be required... but it's pretty cool, regardless! Collect them all here (2.4 MB RAR). I’ve got – man, my wife will kill me if I don’t find some other home for all this stuff – I have everything from 150 drafts of the Deus Ex design documents, to the first contract Chris Roberts ever signed for Wing Commander, to paperwork about lawsuits that’ve never been made public and everything in between. It will be great when the general public can sign up to study this collection! You can read the entire interview here. Eder has posted seven new screenshots from Episode 4 of Standoff... and he promises they'll be the last ones we see before the release! Since Pedro's openGL renderer made the game fast enough to handle more detail, I went and started adding new effects and extra detail wherever I could (time permitting, of course). In these shots you can see our Star Base model (with blinking lights! ), the Wraith's cockpit, a new WC2-style afterburner effect, and ship-specific debris! See if you can identify what the kill was in each of the three debris screenshots. Yesterday, we didn't know John Watson outside of his work - but today we can begin to understand who he was, thanks to a tremendous outpouring of memories and respects submitted by his friends and co-workers. From familiar names like Richard Garriott and Denis Loubet to his friends and co-workers at The Collective, we've been floored by the tremendous outpouring of memories. In short, John was exactly the kind of person who made Origin special. You can read all of the memories and tributes here. We would also like to hear from fans who loved his games - if you're interested in contributing then please contact us. 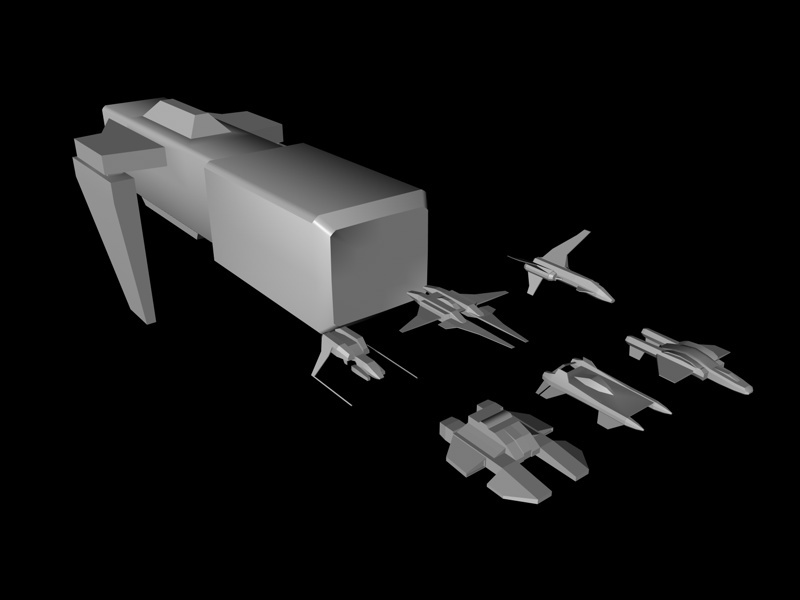 BoH_Havoc has a kind gift for the community - seven low poly models of Privateer 2 ships! He created them for a FreeLancer mod that ended up going in a different direction... and now they're yours to play with! 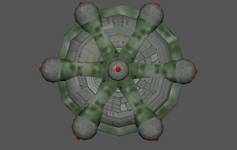 Included in the archive are the Monolith, Shaman, Icarus, Heretic, Freij MK II, Drakkar and Danrik. 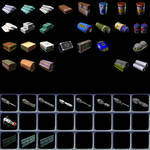 You can download them all here (350k RAR). 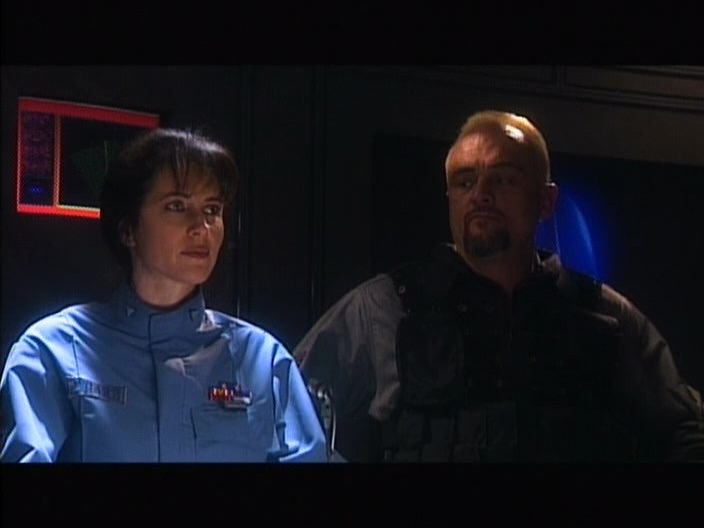 In Wing Commander III, Colonel Blair begins Cobra's funeral: "I didn't know [her] well. Doubt that any of us did." 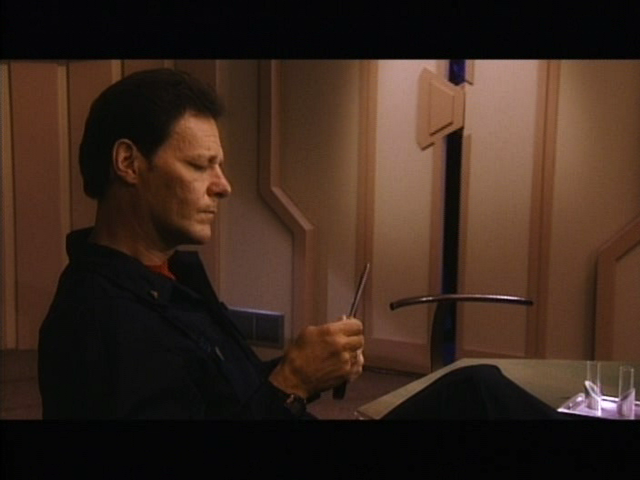 It's a compelling moment: like the player, Blair has dismissed Cobra as a background character, unworthy of his attention. In those few words he admits, too late, understanding that she was an integral part of the squadron. I didn't know John Watson. I wish I had. His credits read like a childhood fantasy. 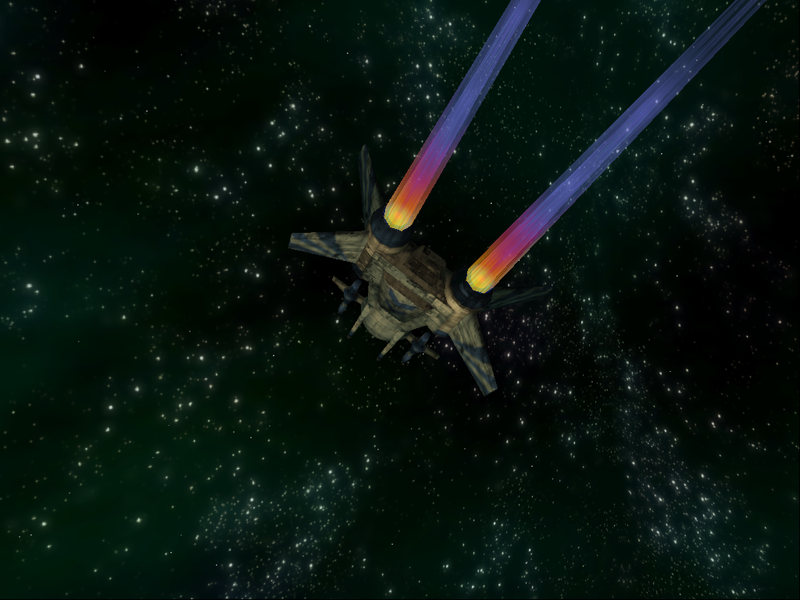 He did artwork for Wing Commander II, one of the most beautiful games ever released. He wrote dialogue for Ultima VII, a title whose engrossing world is unmatched fifteen years later. He playtested Omega, Knights of Legend, Savage Empire and half a dozen other projects that more than any other collection represent an age when computer games were put together with nothing but spit, glue and love. He helped program Ultima Online, a game that changed PC gaming forever, and Crusader, a game that probably should have. I have only scattered pieces in fading documents and old diskettes to look back at now and try to understand him: there's an angry letter in a 1993 Point of Origin, demanding to know why no one has explained the company's new phone system yet. There's his famous tuckerization, "Watson's Disease" in the original Wing Commander. There's his "Cheesy Book" easter egg in Ultima VIII. There's the 1994 AOL transcript where he and Richard Garriott met their fans face-to-face in the wake of Pagan's unpopular reception. There's the DOS kernel hack he programmed to give the game enough memory to scrape by. 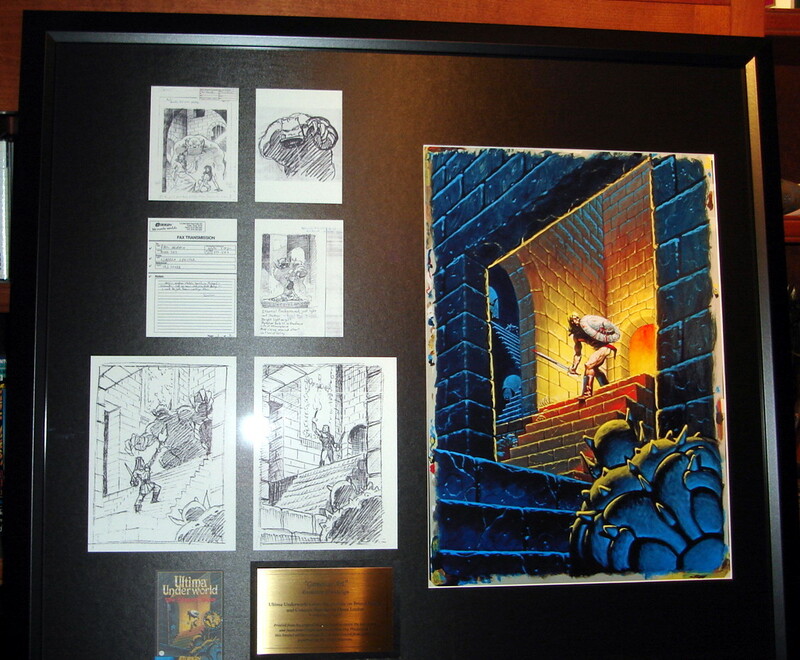 There's the Ultima IX script he wrote, widely considered by fans to be superior to the finished product. But then there's the games themselves! Wing Commander, Ultima, Crusader... he touched all of them in some way. They're the games who made us who we are today, the games that form our shared youth, the games that we look back at for our fondest memories. He didn't have his name in lights like a Chris Roberts or a Richard Garriott... but he was essential to making Origin games the labors of love that they were. I didn't know him outside of his name on my credits. I wish I could have. I don't know what kind of person he was or when he was born or what he did for fun - I don't even know what he looked like. Ultimately, all I do know that his work had a huge impact on my life and those of my friends - and, regardless of everything else, that's one hell of a legacy. Please, share your memories - we'll post them here. I doubt many of us knew the man, but every one of us did know his games. Honor him in some small way by sending us a note about what those games meant to you. We have put a permanent memorial page online here. 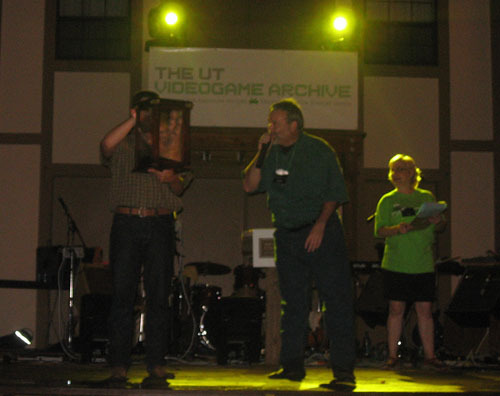 It also includes a list of his projects and memories submitted by others in the community. I thought that it would be nice to have sleepy lullaby music for the pilots' sleeping quarters. In order to write a lullaby, it helps to start with sweet words. I thought, "Go to sleep you pilots," and the words and music came to me at the same time. Now how can I keep something like _that_ to myself???? Very few game producers have let me put the lyrics into the game. I've noticed, lately, that for some reason producers of anime aren't so afraid of looking uncool, and as a result, music for Anime is a wonderful, varied, and interesting field--conspicuously less imitative of movies than game music. Did you want to work in video games? Was that always your passion? You know it's back on Xbox Live now, actually. Yeah, that's what, that's what [Someone] was saying. 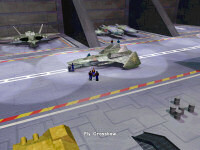 But even then, watching, there was a sequence in Wing Commander I, the very first game, when ou would choose to go into the hanger and it would cut to this sort of animated sequence of just boots running along the ground, and at that moment, you know, in the early 90s, I thought to myself, that's really cinematic, that has a cinematic element to it, there's an opportunity here within this genre to really tell big stories and create big environments and big experiences for these game players, because I know it worked for me. We had a very personal involvement in that particular game. You can find the entire podcast here - comments on Wing Commander are around the seven minute mark. 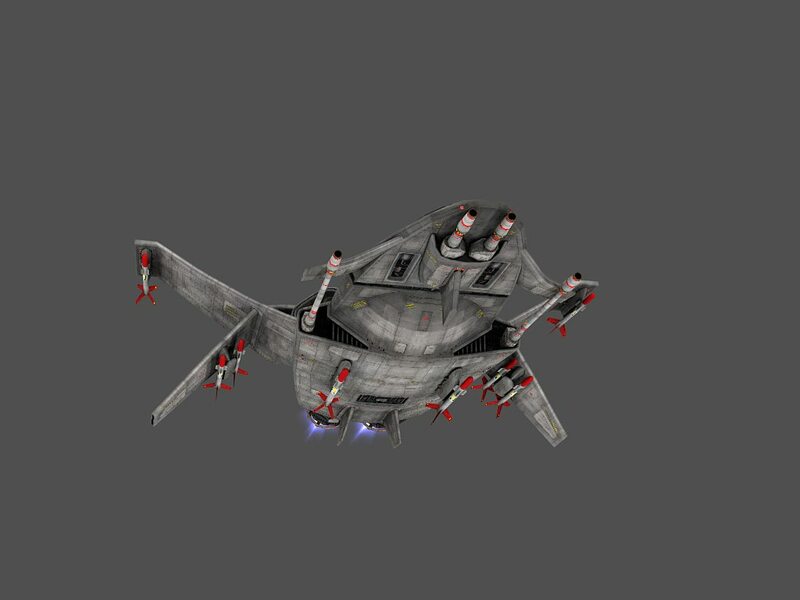 IronDuke has released two 'screens' from his Wing Commander TacOps pen and paper game project. He says: "I spent some time on designing character sheets and briefings, as well. 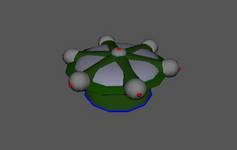 The current designs would work for PBM gaming and the PC game Mike-L is still working on. They're more or less drafts, so feel free to tell me what you think!" They look good to me! 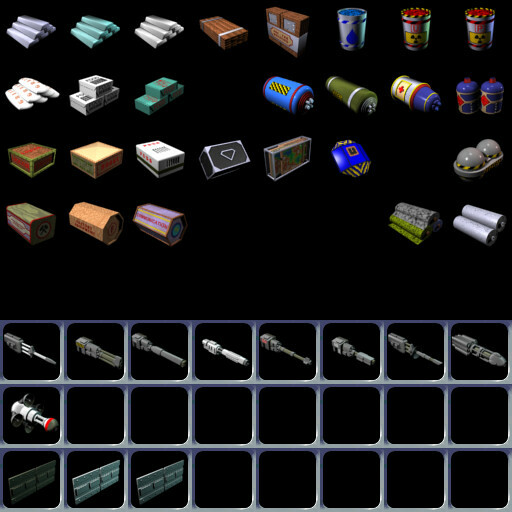 Here's one we haven't heard from in a while: Aaron has released a new working version of his WC4 Homeworld 2 mod! Here are the instructions: "Please note this is a complete new release, with AI and all 3 races and icons and various balancing fixes and bug fixes. Please delete the older version before proceeding to play this or they might clash. There is NO installer this time. I am not including release notes. There is a simple readme file." You can download the beta here (101 mb ZIP). A little about what's happened to me since shipping WC: P. After Prophecy shipped, we were working on a game called Battle Cry, which was to be a 3D spiritual successor to Golden Axe, with an epic story. 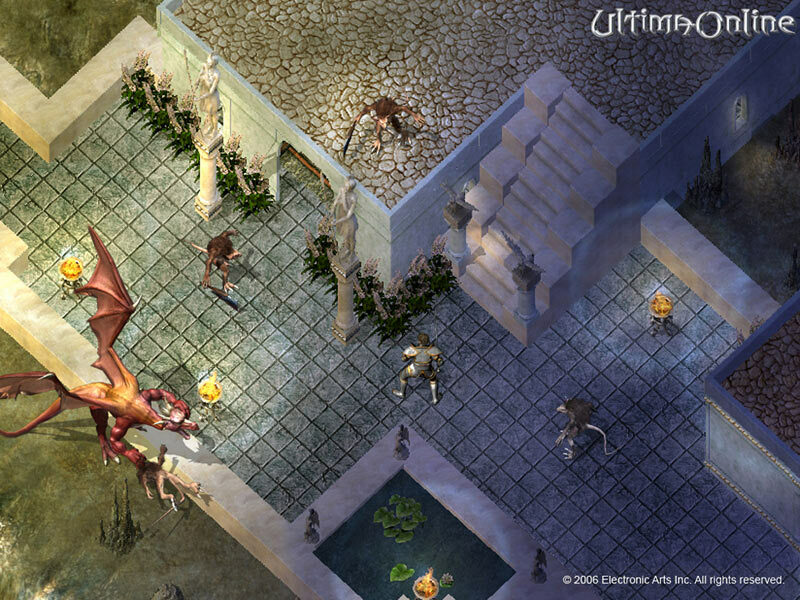 The Ultima honchos decided it was too much like Ultima, so it lost executive support at just the same time I was offered a job at another company. I don't like to leave in the middle of anything, so I told the team at EA and Origin that I had a great offer and that if they would like me to stay on, I would be glad to, but they could not match what I was being offered. I went to another company for a few years and worked on Crimson Order, a 3D Tactical Squad Based Real-Time Strategy / Action game. It was coming together and we had gotten a ton of great press when the owner of the company shut us down after a lawsuit (settled out of court) with his backers. After that, I signed on with Kalisto, who were working on Jimmy Neutron: Boy Genius for PS2 and GC. We were in the middle of negotiations for SpongeBob SquarePants: Revenge of the Flying Dutchman, which we eventually got and I produced for PS2 and GC. During the production, Kalisto France (our parent company) closed their doors and we went independent and re-named the company BigSky Interactive. However we were not able to set up another gig to follow SpongeBob and Jimmy, so we closed our doors, found everyone jobs, and exited gracefully. SpongeBob went on to win Nickelodeon's Kids' Choice Game of the Year and did very well. We were very proud of what we accomplished in 11 months on it. After a couple of months, Matt Scibilia, Grant Pimpler and I (all ex-BigSky) decided to open a studio (Critical Mass Interactive, Inc., or CMI) that catered to the type of productions that we did at BigSky Interactive, which used over 60% contractors to keep costs down and morale high. We were sick of the ridiculous turnover after going into QA, so we set up clearly defined deliverables for our contractors and they delivered! We believed in this model so much that we built our new business around it - except this time, we were managing contractors for other studios. This model has been very successful for us, and even though Grant got married and left the business, Matt and I have kept CMI going through thick and thin since early 2003. 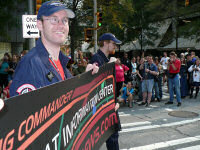 You can read tons of background about all of this at www.criticalmassinteractive.com. But back to why I was asked to speak here. Wing Commander. Let's put the game into perspective. 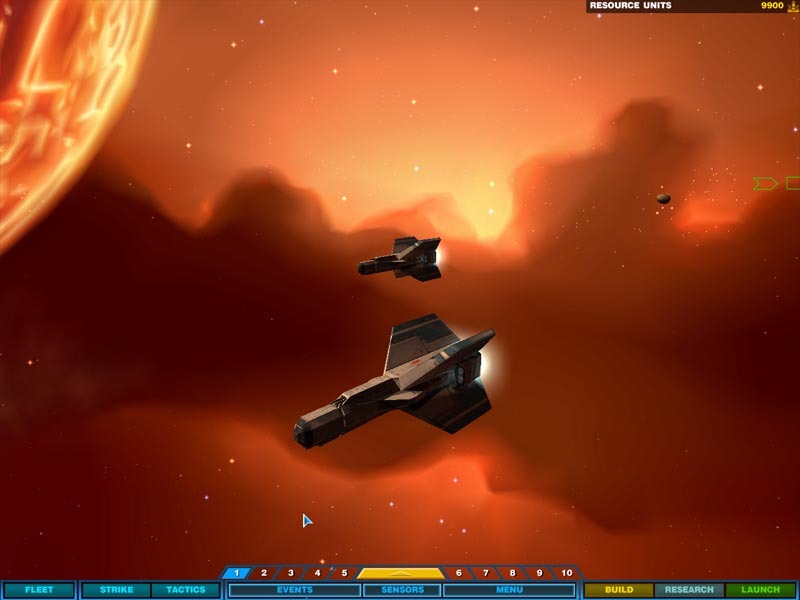 Chris Roberts had created Wing III because it allowed him to do the movies he wanted to make and it was among the first games to really use CDs to their potential. It had a side-effect of capitalizing and driving the growing PC-CD market. It was a huge success. EA wanted... nay demanded... a sequel to it and they wanted it by the next Christmas season. So, Chris said no and they said yes. This was the beginning of the end. Chris went to Hollywood and started shooting without a complete script (not the best idea), shot on film (extremely expensive), and EA went ballistic. Origin was working on the game engine to ensure delivery of a game, but also delivery of a game that could be translated easily. You see, in order to ship Wing III on time - many things were hard-coded to work in English. Artwork that could have been multi-lingual needed to be coded so that it would work. Yes, this made translation next to impossible, but it shipped on time. A miracle by all accounts. 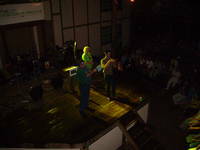 But Wing IV had 2 imperatives - ship on time and be easy to translate. The team did it. Then Chris left EA / Origin. 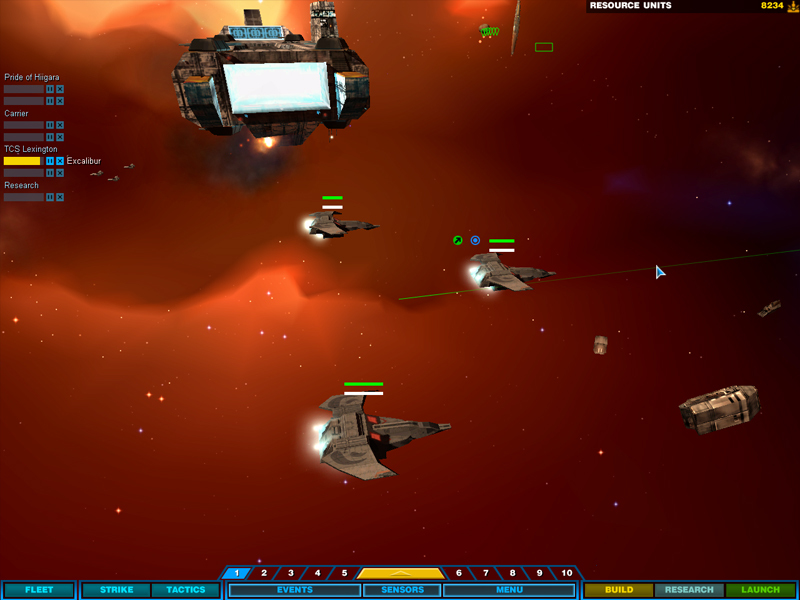 It was at this point that the future of Wing Commander was in jeopardy. 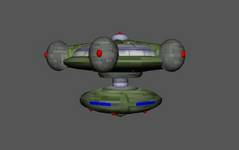 He had a non-compete, I believe, so he couldn't hire away any of the team for a while so this was the chance to create Wing Commander V. The team knew how to make a Wing, but needed direction and focus. This took a while. 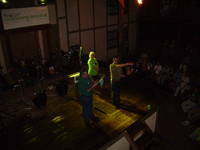 At the beginning, there was a Wing PlayStation team (that I was responsible for) that was working alongside the PC team. 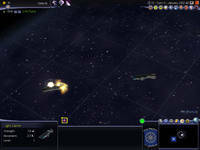 Phil Wattenbarger was the lead designer on the PC side, and I was the Associate Producer for the PS team. Two things happened relatively near one another: Phil announced that he was leaving and EA budget cuts meant that we had to fire the PS team. I was asked to take over Phil's position and to remove the PS team. That was one of the hardest things I had ever done in my life. 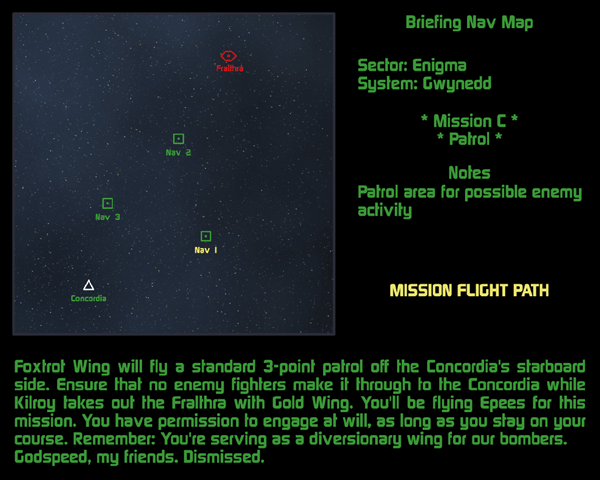 It was at this point that we needed to lay down some ground rules as to what constituted a Wing Commander game. I didn't want to lead the design as a 'whim,' I wanted to do it the best I could with feedback from all the major players - since I had never 'designed' a Wing from scratch before. I sat in the 'War Room' with all the major players from the previous Wings and had them describe what they thought Wing Commander was until I had it distilled into a cohesive outline. I felt it was critical to get the game back to its roots of arcade 'gameplay first' and get away from a keyboard with a million buttons to press, so I spent weeks designing everything about the interface to revolve around the fewest button presses possible. I made it so that the script called for all the 'required' movies to play automatically while players cycled from the Rec Room to the Briefing Room. If there was an 'extra' movie, they would be attached to the 'postage stamp' animations that you see sitting at tables or standing at the bar, etc. The reason that this was done was because on Wing IV, there were too many letters from fans saying that they couldn't find the right person to talk to that would 'turn on' the mission. This was completely unacceptable. 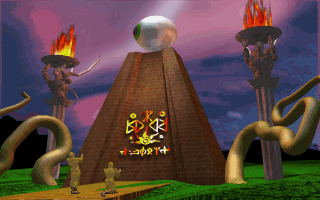 In fact, many of the changes to the game came from the post-mortems of Wing III and Wing IV. These documents were put together by the QA and CS teams after the game shipped for use internally, but they were crucial for creating the initial design for Wing V.
Other changes were little noticed, but I believe were critical to a more mainstream success of Wing Commander. 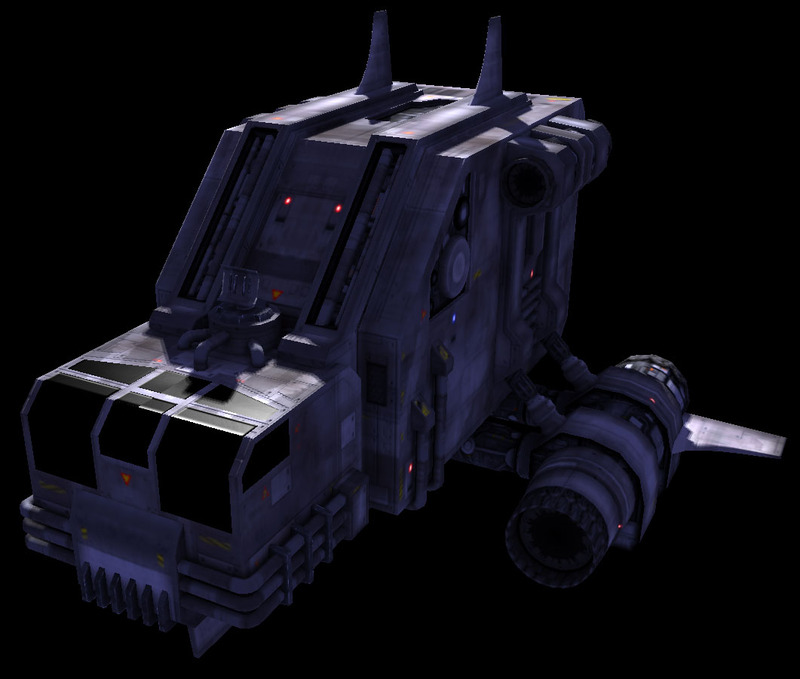 Players no longer needed to radio their main capital ship and ask for clearance to land. You got near the ship and it happened automatically. Of course for purists, we left in the option to turn this off and do it the other way, but I don't believe many people did that after experiencing it the other way. We also added an option to 'turn off movies,' and in order to back that up, we added an in-flight reminder movie to tell you what your mission is. This turned out to be a great idea because the GBA version could use those lines and it fit the property well. Changing your power distribution was as easy as pressing one button and moving your joystick, but this wasn't necessarily required. All in all, I was happy with the general direction of the game. We were under the schedule gun from the very start. Christmas or bust. At the beginning, EA's sales expectations were very low and they did not even expect to sell over 200k copies. This affected team size, morale, budget, and the movie budget. We had to make the budgetary pain from Wing IV go away for EA. This was a constant pressure throughout our production. Our E3 "behind the scenes" showing literally doubled the sales figures based upon support from the retailers that saw it. The original script was much longer, but EA cut our movie budget from something like $6 million to $1 million. This meant that we had to cut tons of original content and go to lots of reused shots. It might have been different if we had a locked budget from the beginning, but we had to make those cuts. Players noticed the lack of a great script and this was the main reason for it. We had to make do with what we had. And I am still proud of what we accomplished given those resources. If anyone wants to contact me for consultations, speaking engagements, or work on their game titles, please contact me through www.criticalmassinteractive.com. Thanks so much; this is so much more work than I expected! You can also read previous birthday notes from J. Allen Brack, Sean Murphy and George Oldziey. The Austin-American Statesman has published an profile of the 'other' Garriott... no, not the astronaut: Robert Garriott, brother of Lord British. It's also an interesting history of Origin, since Robert was very much the man-behind-the-man - the financial genius who kept the company running through many years of ups and downs. By 1990, Origin consolidated all its offices in Austin, with long workdays, well-used bunk beds and a constant supply of pizza. 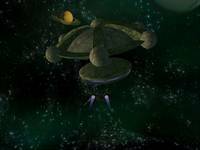 They were heady times, with the development of such popular games as "Ultima" and "Wing Commander." And even Robert showed that he wasn't all business after moving to Austin. One day he burst into a conference room with a water gun, Spector recalled, and sprayed employees, despite the presence of nearby electrical equipment. "He has a fun side to him," Schmidt said. "It just doesn't come out too often." 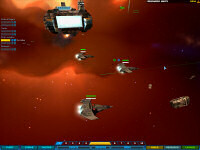 The Wing Commander Saga FreeSpace 2 mod website has been updated with a new poll. They want to know who your favorite Saga character is... so load up the Prologue and make the coice. There's more, though: in the grand tradition of Web 2.0 they've added a "quiz" feature which allows you to find out which Saga character you're most like. You can try your hand here (I'm Ninja). 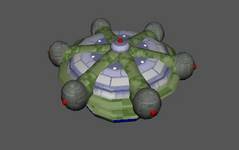 Kevin Caccamo has rendered a Wing Commander II-style Star Base (or is it a Wing Commander Academy-style space station?). 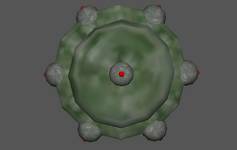 He says: "Notice how the starbase is completely made of Spheres (some are manipulated.) 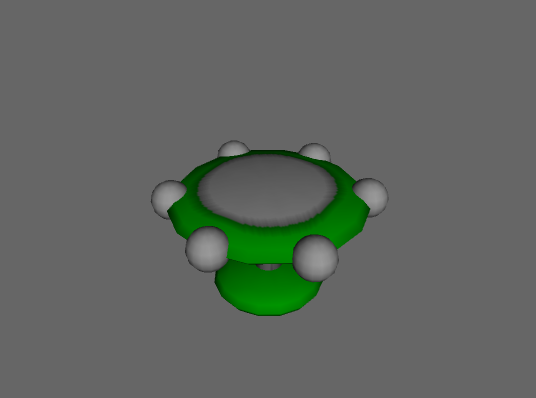 This is probably one of my first experiments with the "Dissolve" function which eliminates all edges between selected faces in Wings3D." I'll take your word for it! You can download the 3D model here. 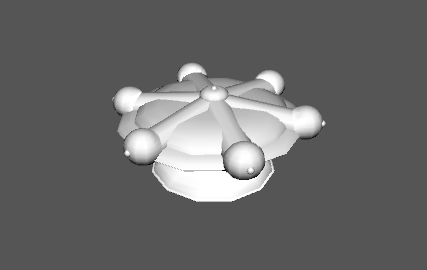 Not to be outdone, Iceman16 has also made a Star Base model! Who will win this most epic of all contests? XBLArcade reports that Wing Commander Arena developer Gaia Industries is holding an exciting tournament for their Street Trace NYC game! At seven random times throughout the month of September, they will host and join Long and Medium Player Cash Tournaments. 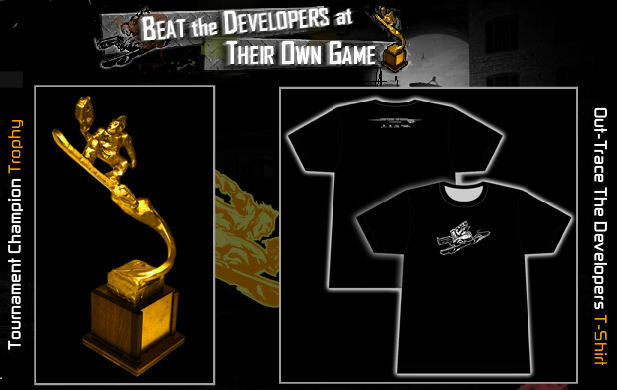 If you happen to win one of these tournaments, you'll win a T-Shirt as well as entry to the big tournament where the winner takes home a pretty cool looking trophy. We saw the trophy when we visited - it's pretty nice! The first competition will be on September 9th, so get Street Tracing! It's almost here! Chris Knudsen is looking for beta testers to run through his Privateer Ascii Sector text-based fan game. This is a once in a lifetime opportunity to take a look at one of the strangest fan projects evern devised! If you're interested then you can post your system specs in this thread. The Fat Man has finally succumbed to the pressing demand, mostly from Wing Commander CIC, to publish the music to Wing Commander I. 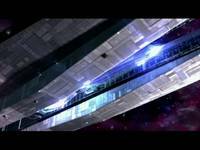 This is the soundtrack to the first Wing Commander game by Origin Systems. I was asked by the game's producer, Chris Roberts, to write something that sounded something like Star Wars and Star Trek the Motion Picture. My Team Fat writing partner, Dave Govett, had this little tune (the fanfare/theme) in his head already. It took him about a day to get finished music to me--and with that one tune, game music took what is perhaps a bigger step than it had taken before or maybe since. I hope I will be forgiven for saying that, at least for American PC games, it's hard to find a soundtrack with stronger musical sensibility, better composition, or better arrangements. This game supported the then-new MT-32 sound card--this was pre-General MIDI, and most games had just used the internal FM sound card--which was considered high-quality at the time! In addition, Chris Roberts insisted on making the soundtrack interactive. There have been other interactive soundtracks before and since, but this one stood out. 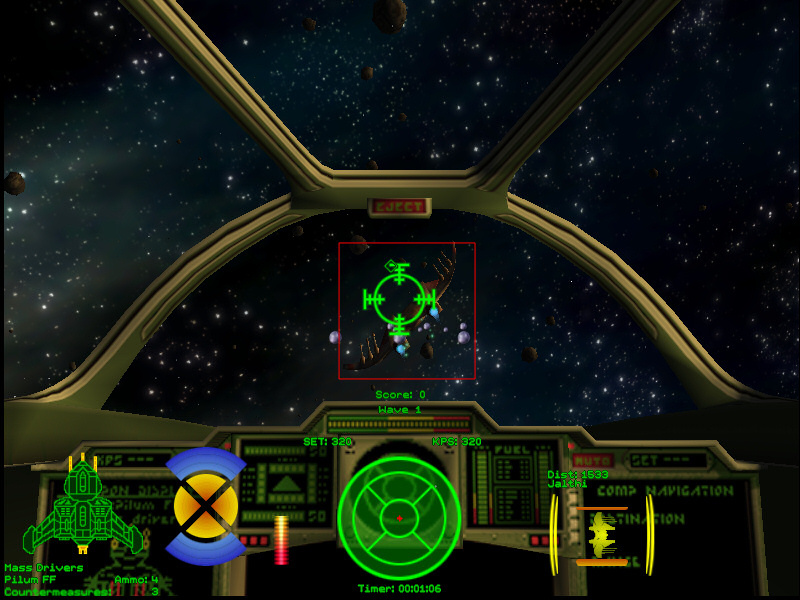 Wing Commander was the hit of the CES show that year. A little secret: The clip being shown at CES was not interactive - the computer was only playing the dogfight medley music straight through. There was no intent to deceive, but the press was sure they were hearing the music interact with the players, and reported how impressive what they heard was! These days, game soundtracks that attempt to imitate John Williams are commonplace. I don't like to do it anymore. But to my knowledge, this is the first one, and compositionally remains one of the better ones. I believe that for several years after this, game composers were still not asked to imitate John Williams. They were asked to imitate David Govett and Wing Commander. Wedge009 found something we missed in the recent press kit update - two Targa images. He's converted them into web-friendly PNGs and sent them along. The first is a rendering of the TCS Devereaux in the Kilrah System debris field and the second is a shot of the TCS Midway exiting a jump point. Amazing stuff! 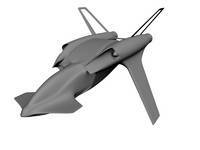 Deacon has posted the first images of PL04 Kalrechi 3D model for his Privateer 2 'recreation' project. 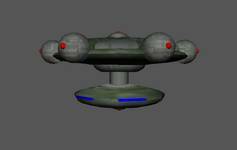 The model was built by Kears, based on the original civilian ship. AUSTIN, TX, AUGUST 22– Pixel Mine, Inc. announced today the formation of a new game development studio with a mission to reinvent the game development and publishing business model. The founders of Pixel Mine, who have been contributors to hit titles such as the Ultima and Wing Commander series, Deus Ex, and Medal of Honor, are bringing a new approach to game development with innovative short play titles that focus on community and maintaining high production values. 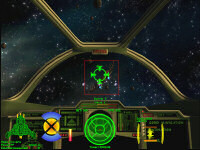 Wing Commander veterans at the company include programmer David Reese and legendary artist Denis Loubet. However, there is an even greater challenge of imagination. I seek help for developing the tech tree, especially the non-military branches. I figured that maybe you could pass on the question on the website, with my email, and ask the imaginative fan community for ideas. We made a mistake in our recent update about Total Immersion Software. 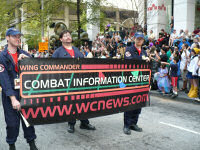 In the writeup we called former Wing Commander producer Mark Day the company's founder. He was kind enough to let us know that he's only an Executive Producer (which still sounds pretty impressive). He also reports that the Total Immersion includes a whole host of other Origin veterans: Frank Roan, Tony Morone, Will McBurnett, Tony Salvaggio, Hideki "Tony" Ikeda and Chris Yesh. We wish them all the best! I didn't want to copy the wc3/4 jump point exactly, but make it quite similar. Instead of making it grow out and then shrink back in, I though I would make it kind of explode out and then fizzle out. I intend to make the opening of the jump point a little more flashy, but I haven't added any light effects at all yet, this is just particles. You can download it here (1.7 mb AVI). I'd like to say that this will be an experiment for me as far as my art style. While I am proud of the strip I produced for the contest, it was created in a very short amount of time (I started 48 hours before the deadline). For this reason, I think I sacrificed a small amount of quality. 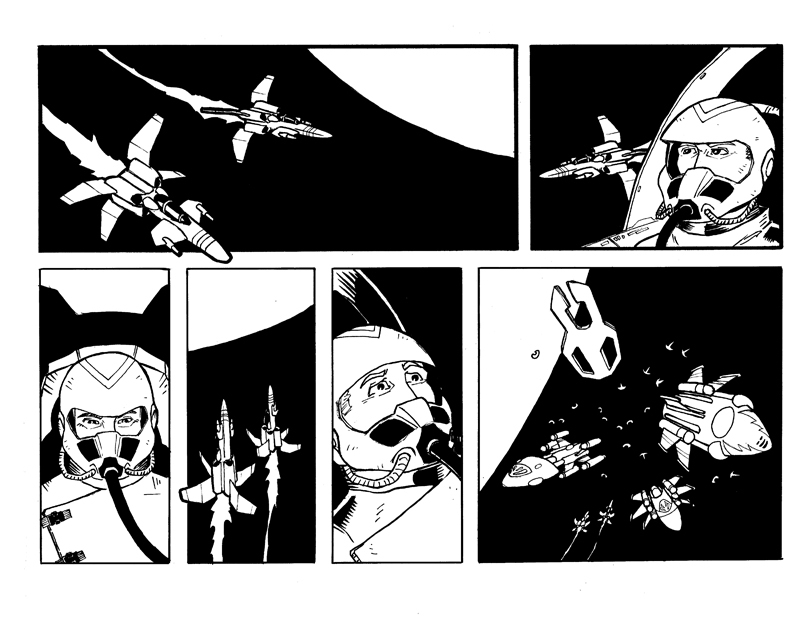 Hopefully, I'll be able to bring a bit more to the table in subsequent strips. Here's some shots from this morning's neato DragonCon Parade. 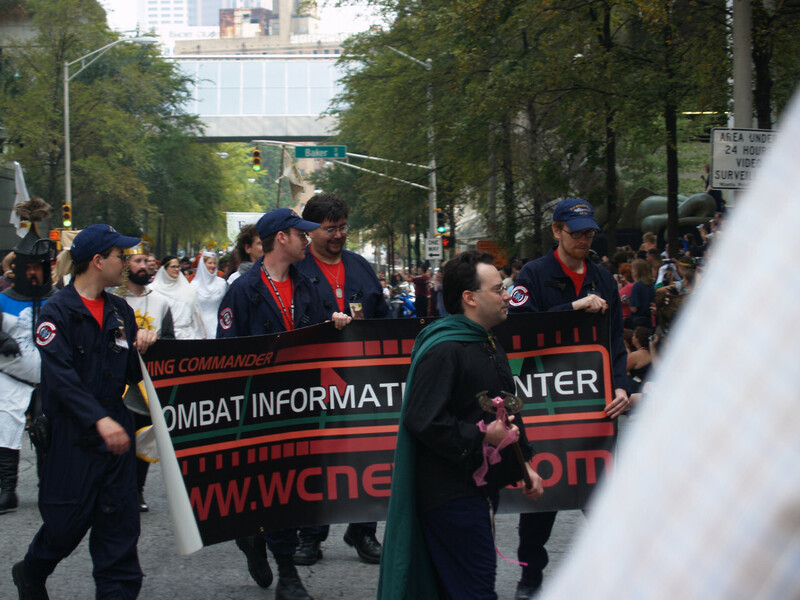 We're off to see Baen Books now (by way of the Lego/Star Wars or Zombie Attack Preparedness panels), but thanks to all who yelled out in support of Wing Commander!